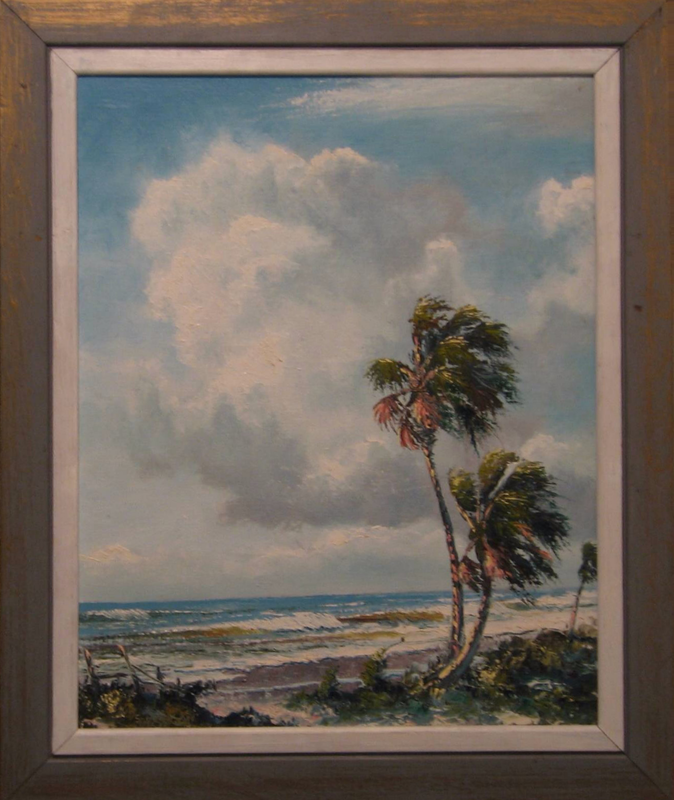 The first time I saw a Florida Highwayman painting was in 1992 when I walked into SunTrust bank in New Smyrna Beach, Florida on the beachside. 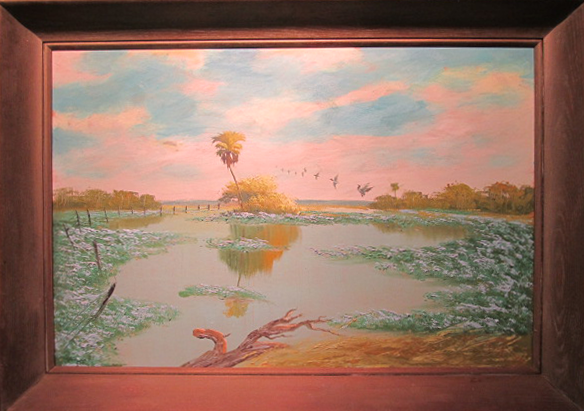 There were 10 paintings 24” x 48” hanging on the walls. 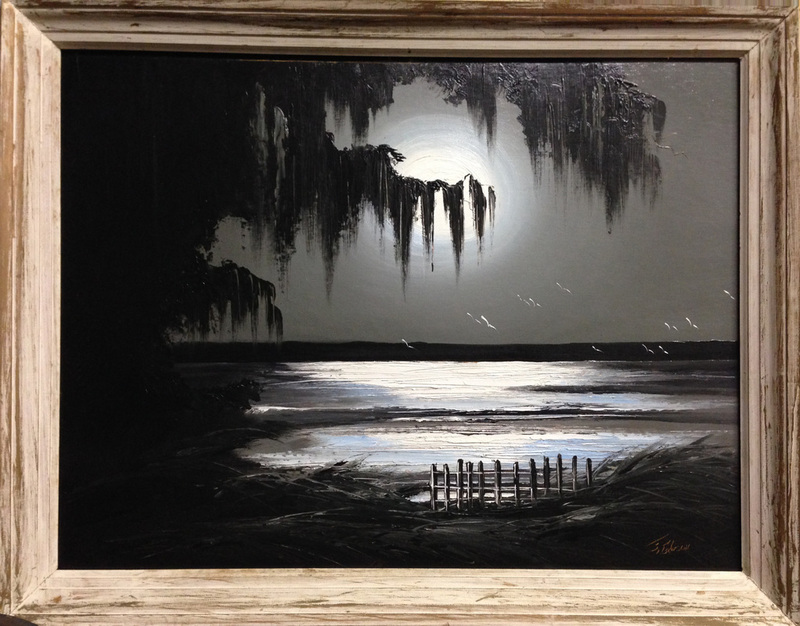 I asked the manager if he would sell one. 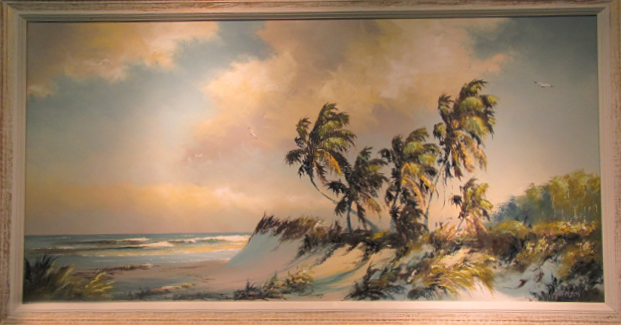 He responded that he would but I would have to buy them all as they were thinking about remodeling. 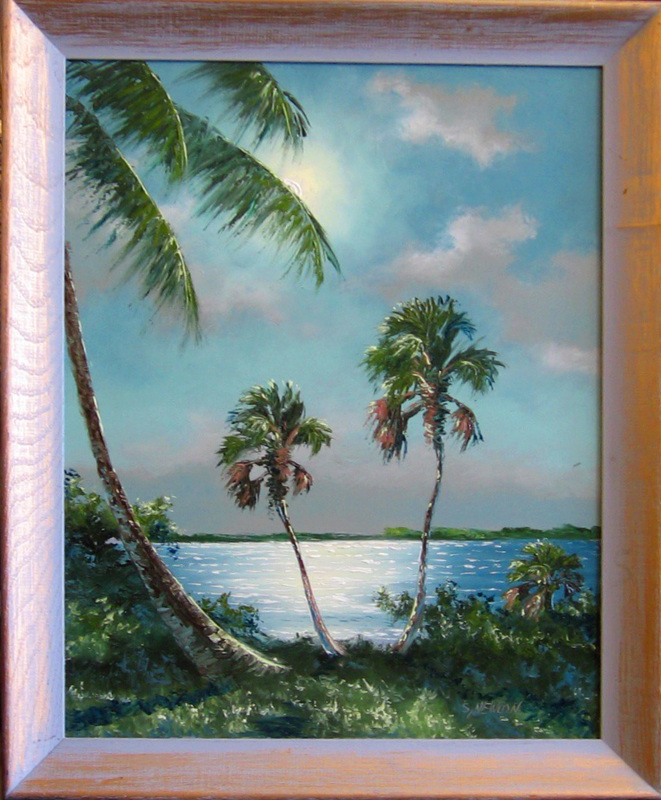 He said he wanted $500.00 each. 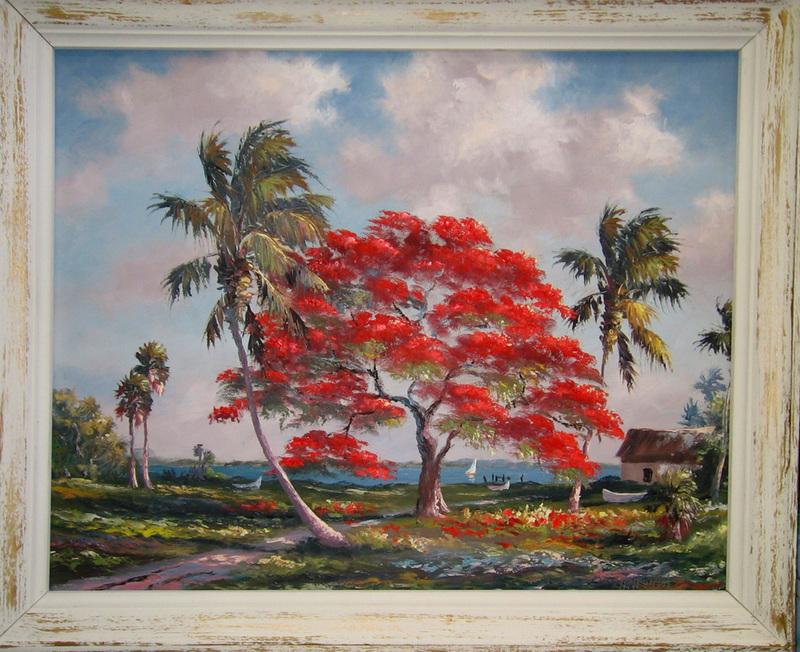 The artist’s name was Harold Newton. 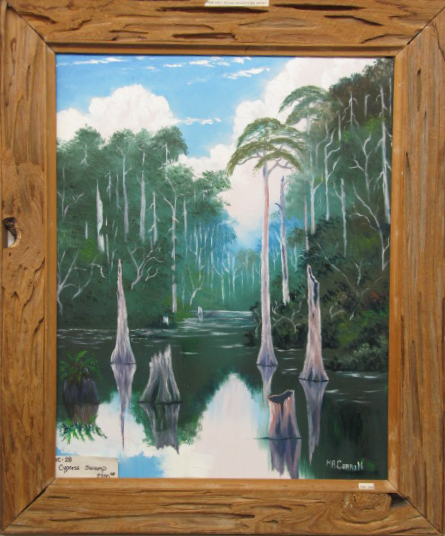 He sold them for about $25.00 each to the bank many years earlier. 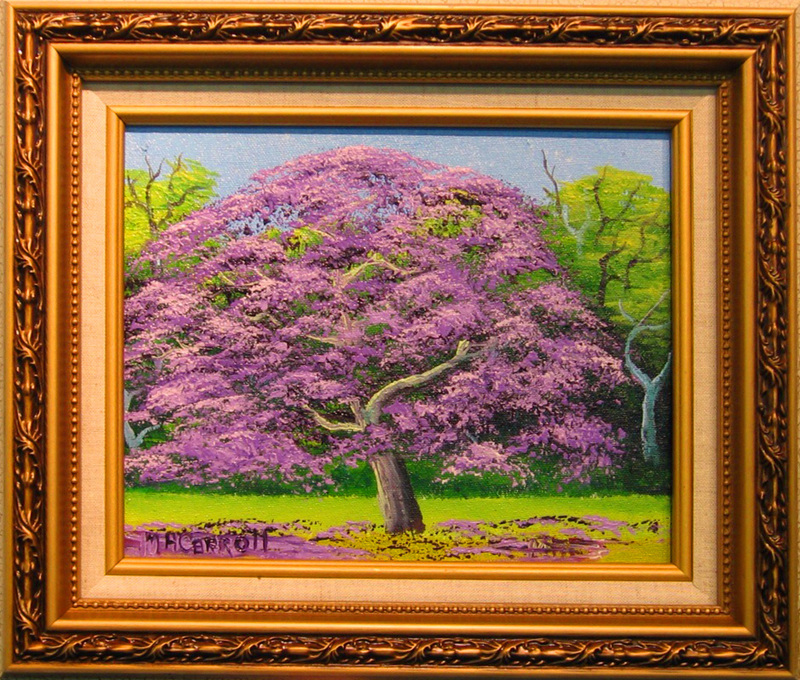 I could not buy them for I did not have room for that many. 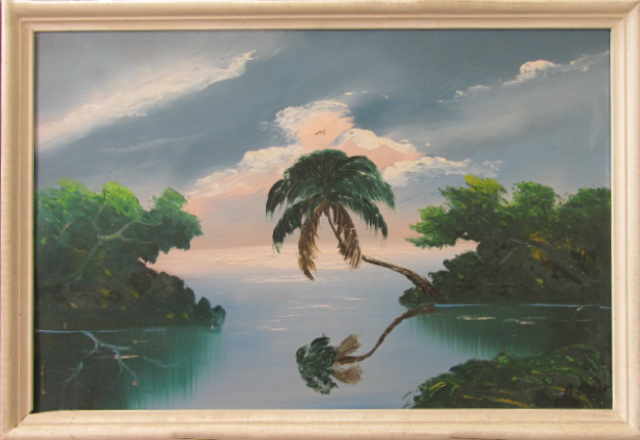 A few weeks later I was looking to buy a house. 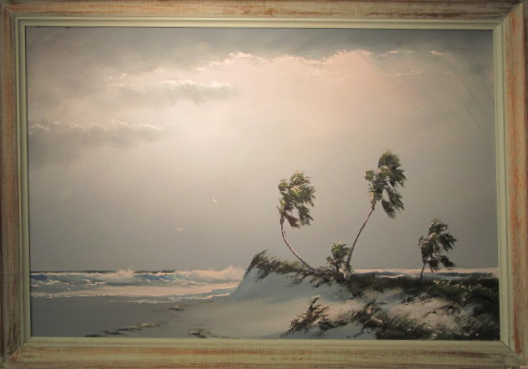 I walked into a realty company on 3rd Ave beachside. 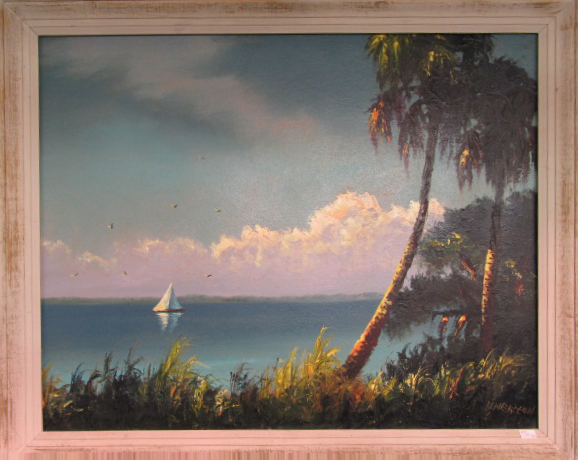 There were 5 paintings hanging on the walls by H. Newton. 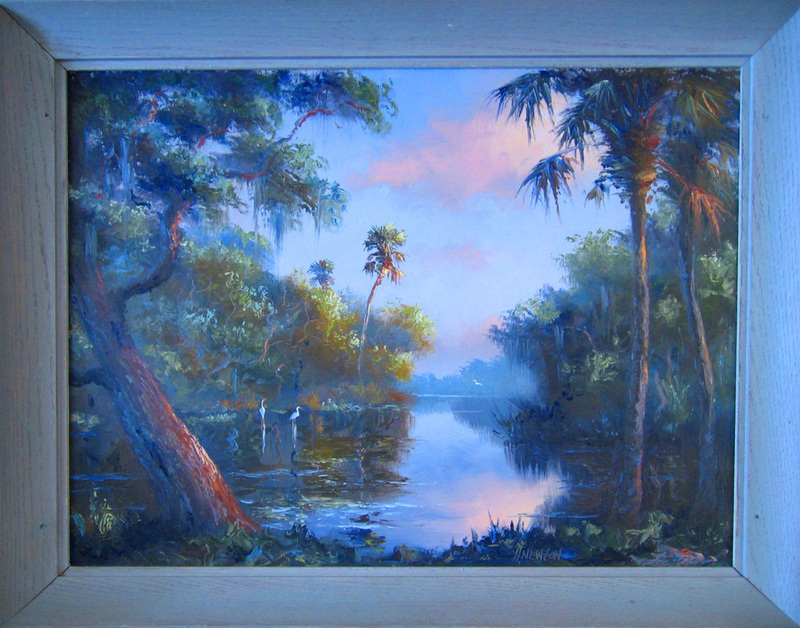 I felt these landscapes depicted the beauty of Florida. 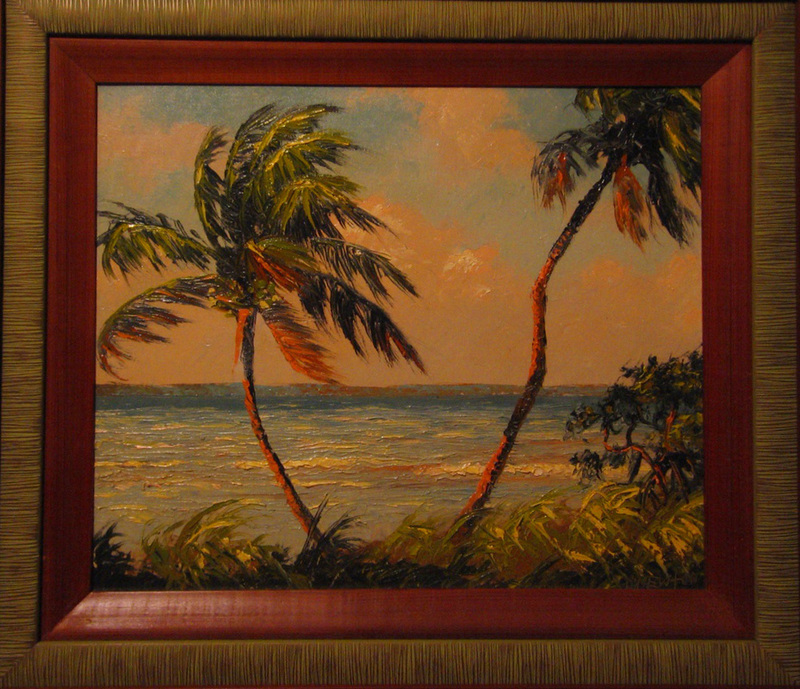 Swaying palm trees. 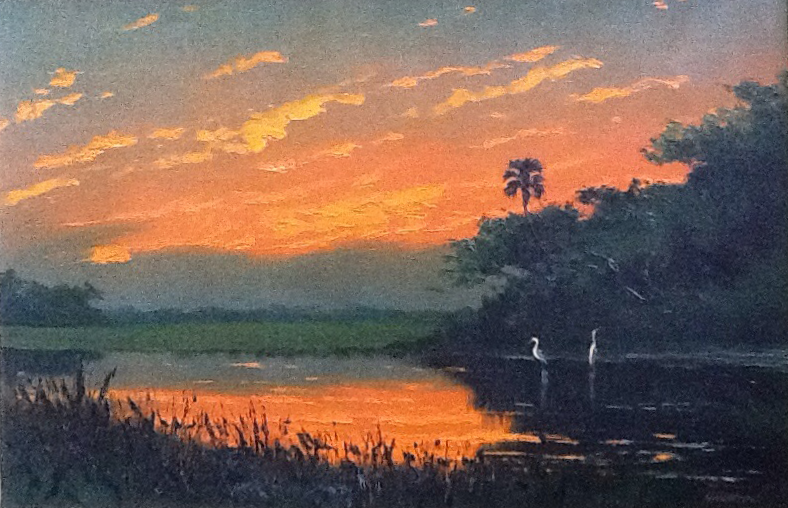 Spectacular sunsets. 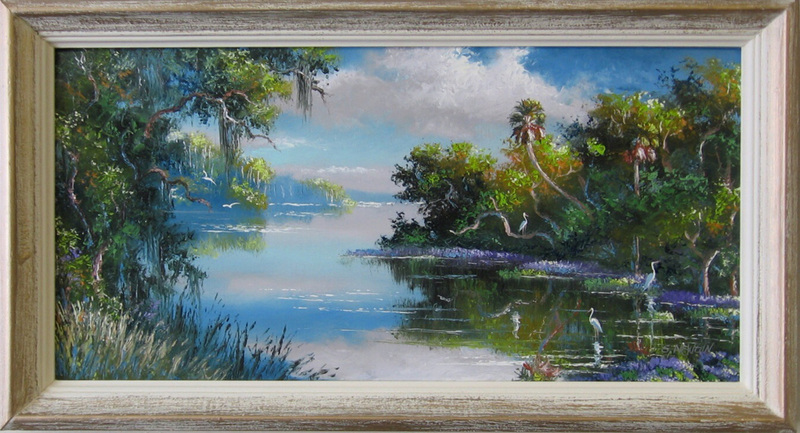 Tranquil water scenes. 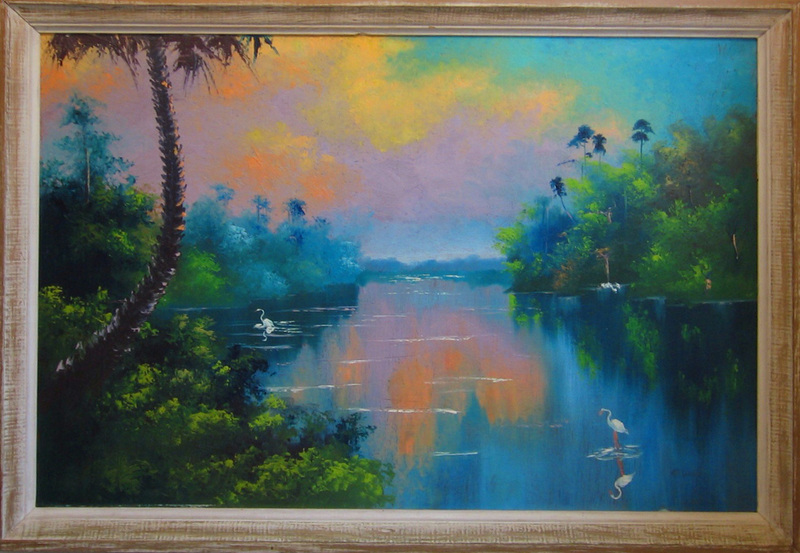 I could not help to ask how she acquired these paintings. 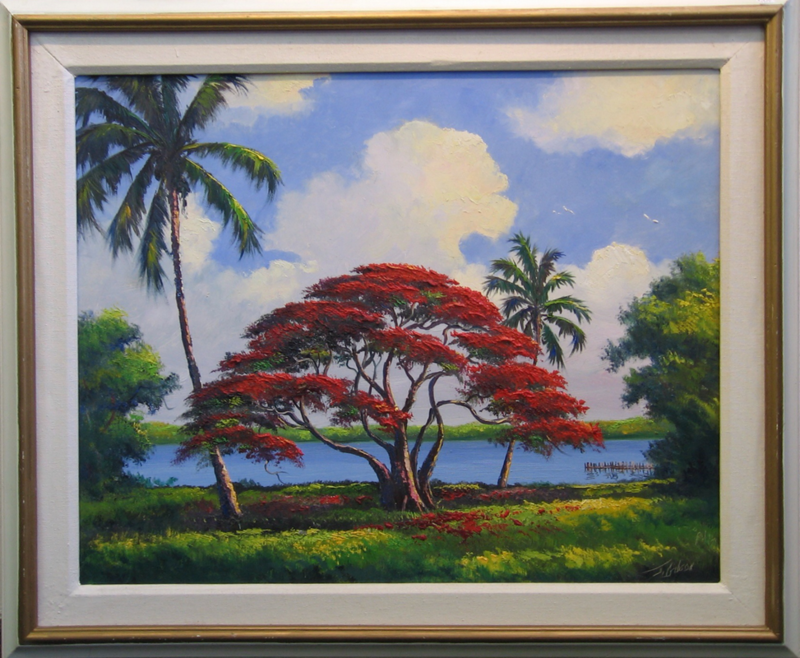 She said years ago Harold Newton used to come into her office and offer the paintings for sale for $25.00 each. 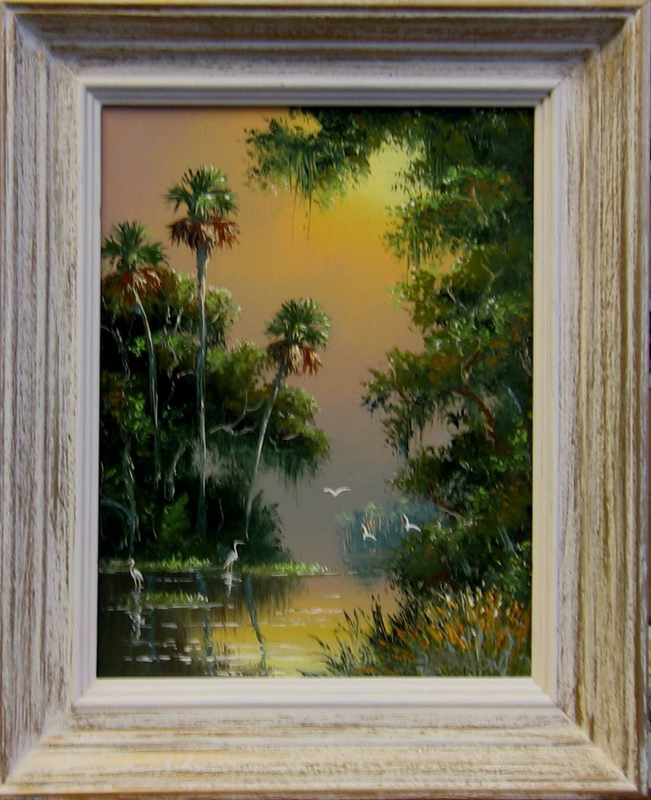 I asked her if she would consider selling them to me. 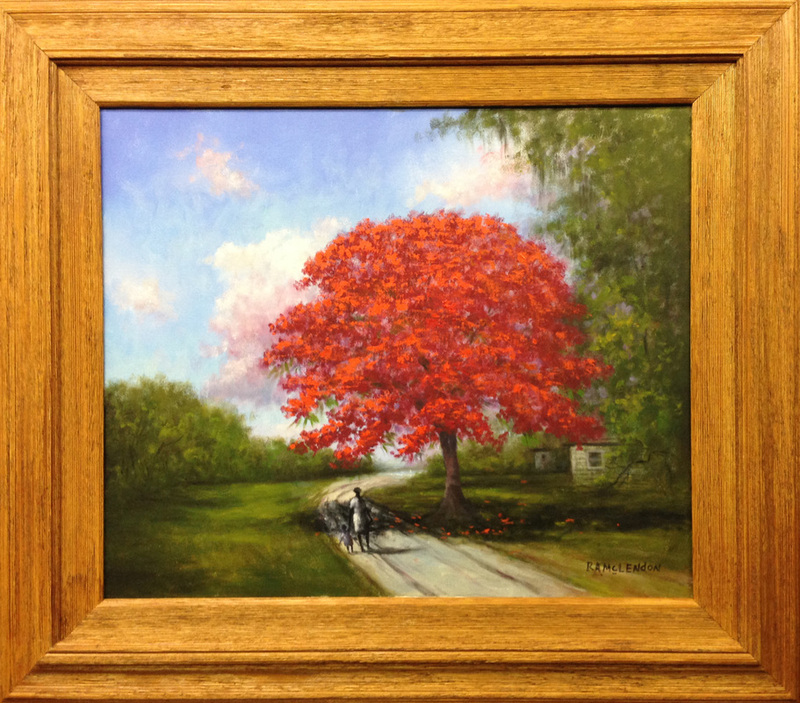 We kept talking and she eventually told me she and her husband were getting older and going to retire. 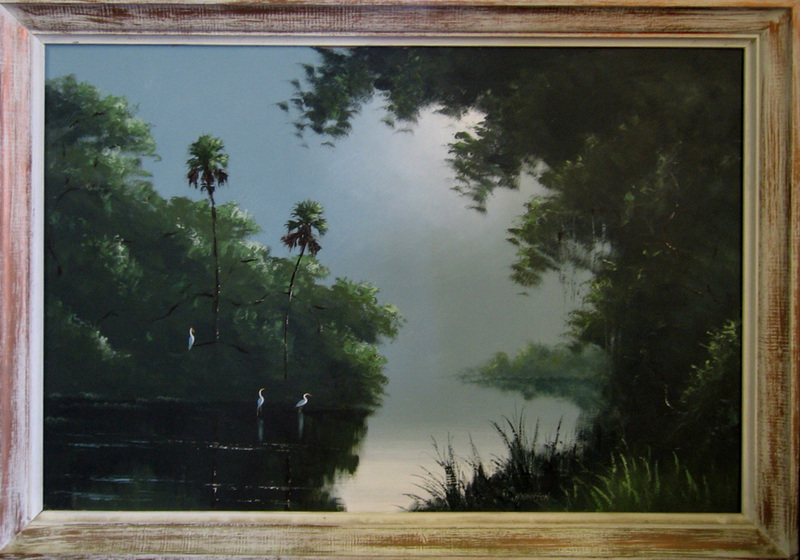 They were losing interest in the paintings since they were going to close the office. 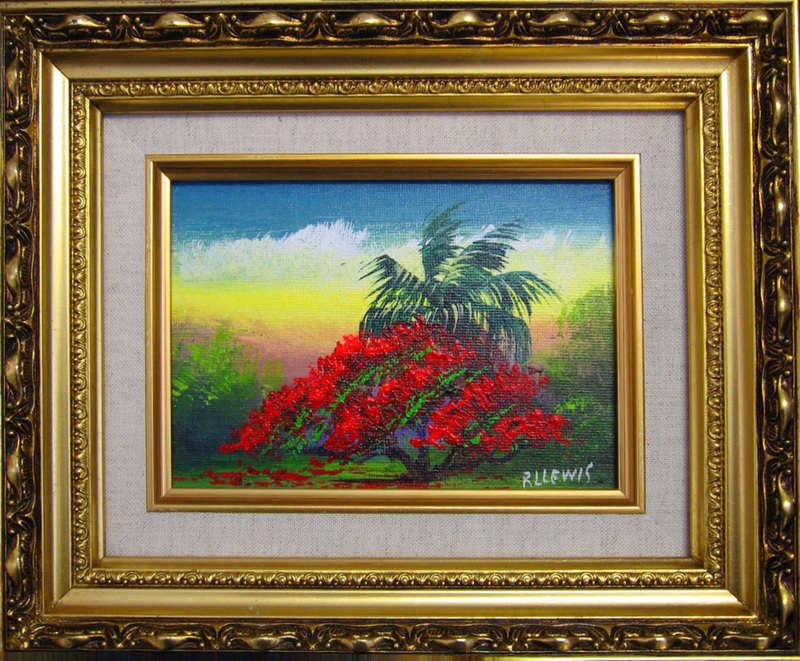 She said she would just give them to me. 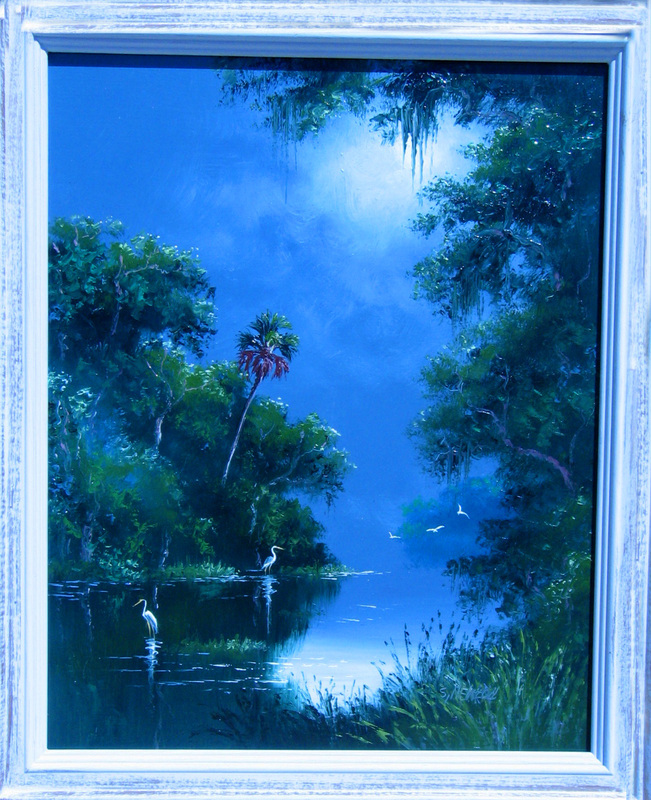 I felt bad so I offered to pay for them but she said no. 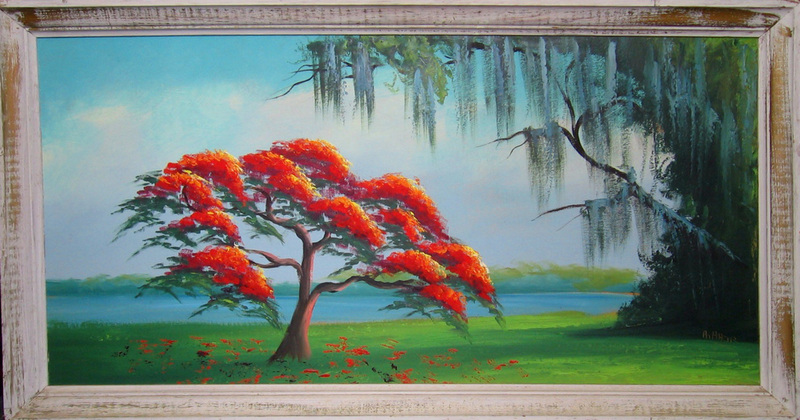 I traded her for some other paintings, so I ended up with all five paintings. 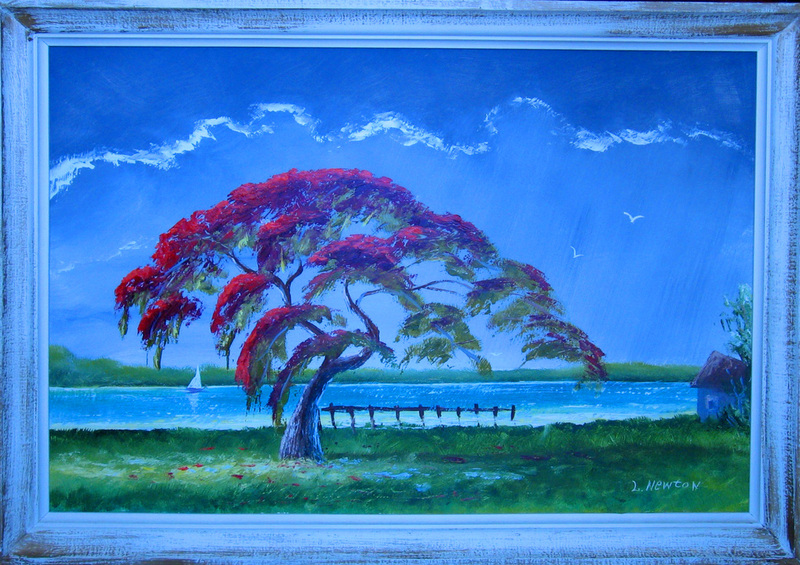 I will never forget her. 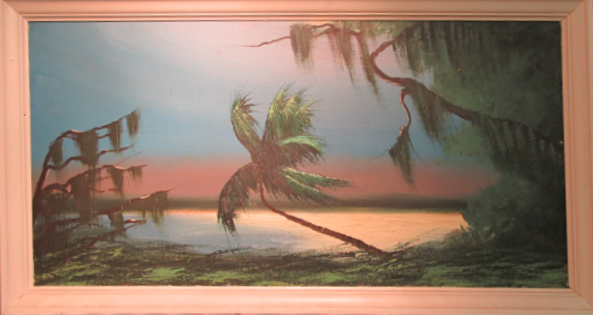 This is how I started collecting the Highwaymen. 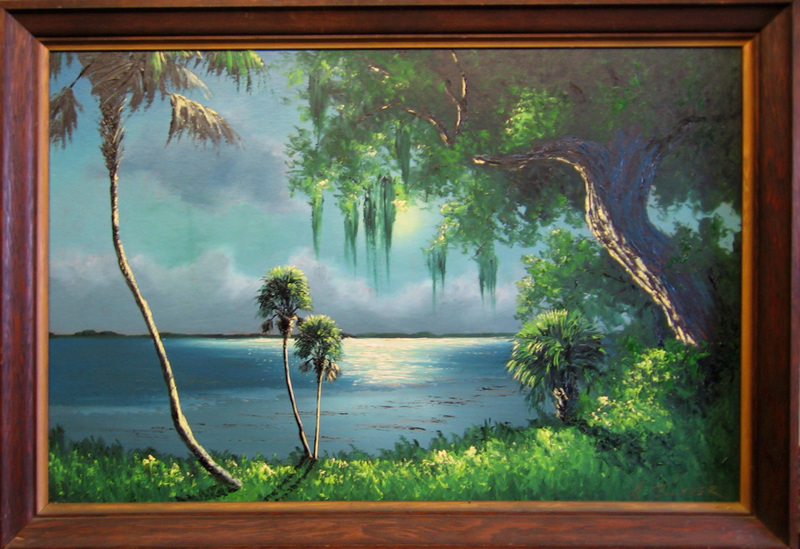 That was twenty years ago and today I am the oldest Highwaymen dealer in Florida. 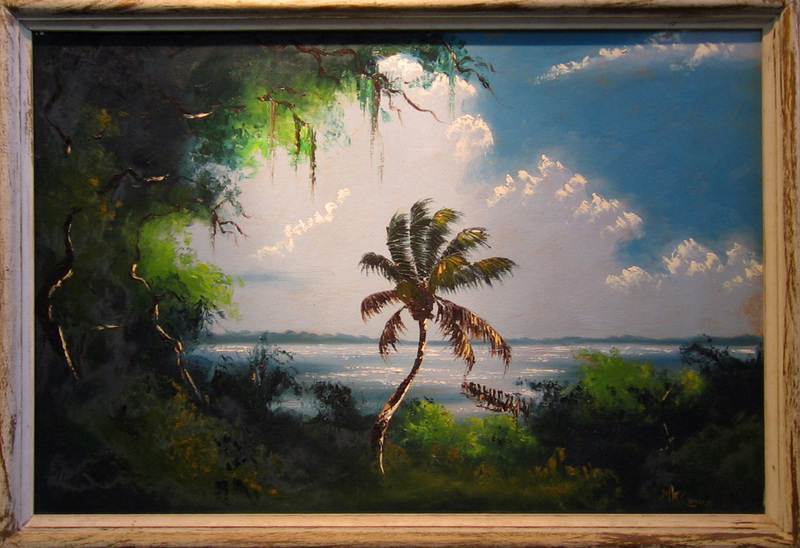 In 1993, I started dealing with Highwaymen paintings. 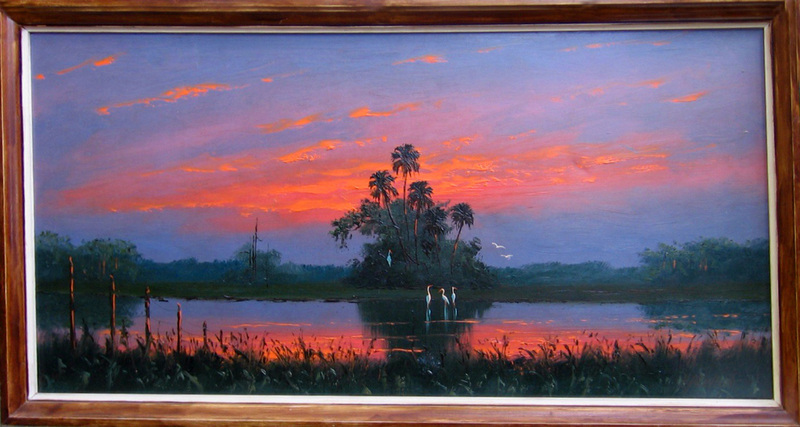 So I became very interested and wanted to learn all about this group of 26 black artists. 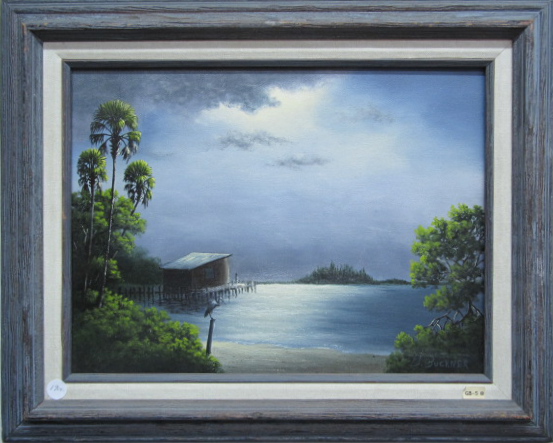 Later, I opened my shop,” Antiques & Art”, on the mainland at 520 Andrews Street. 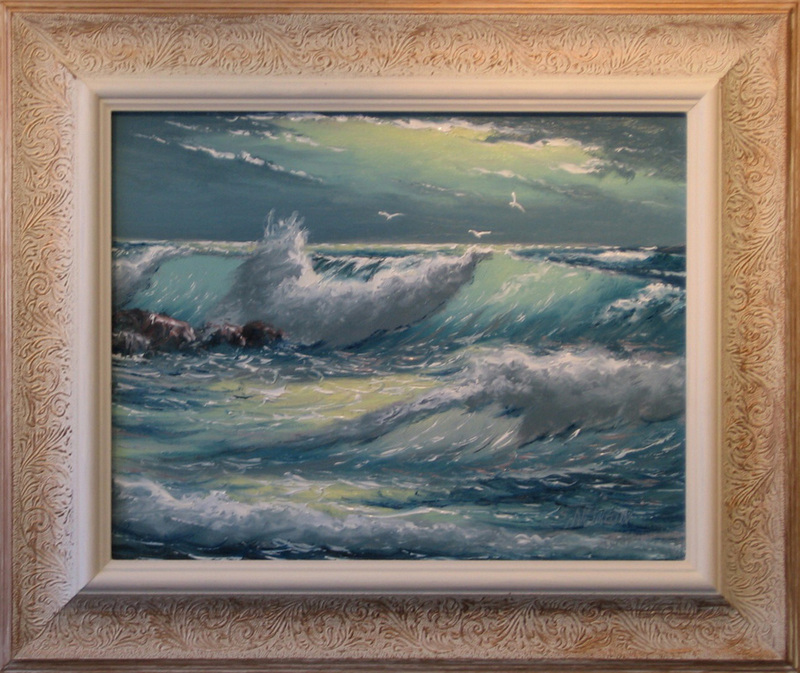 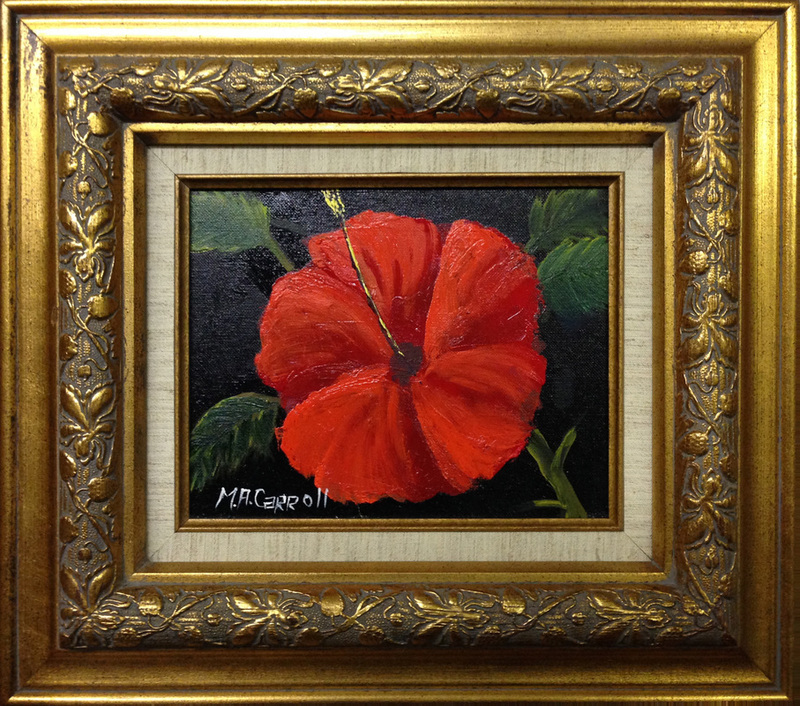 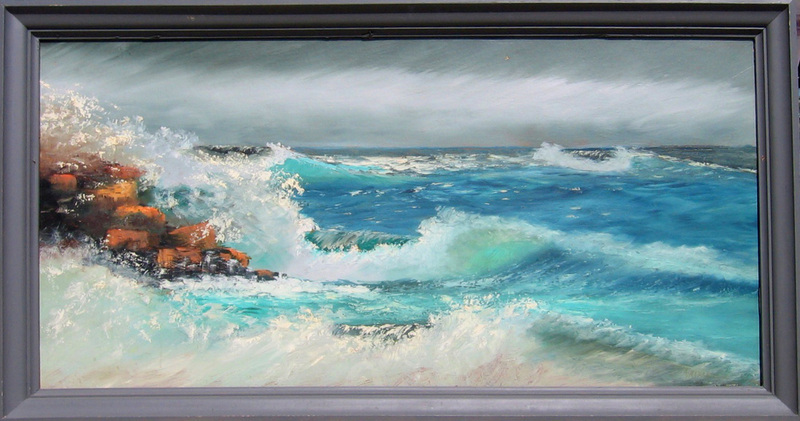 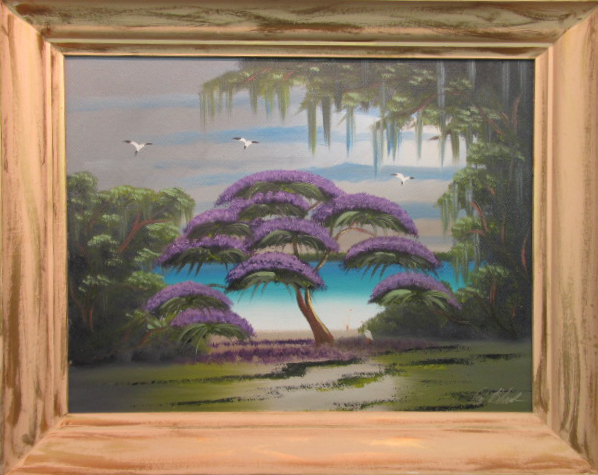 I have been dealing in art in New Orleans, Tennessee and Florida for 40 years. 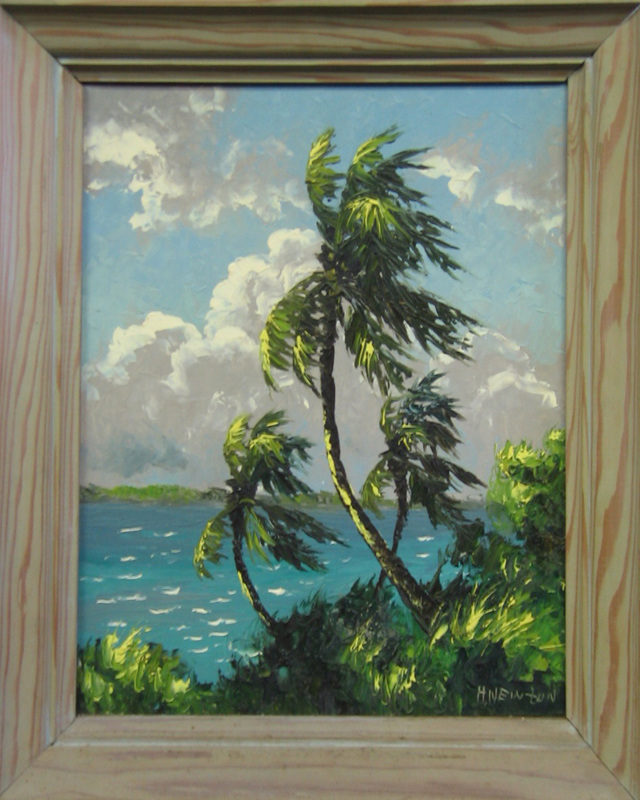 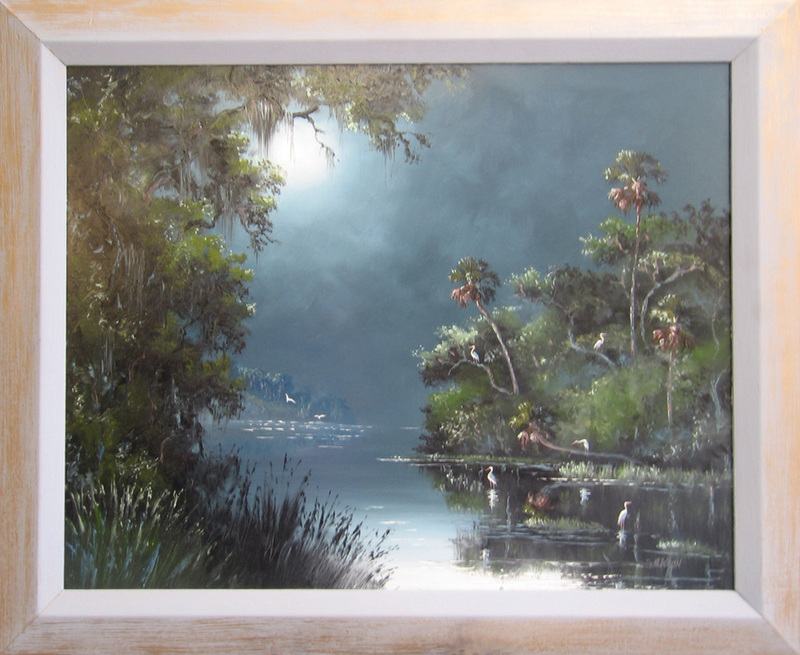 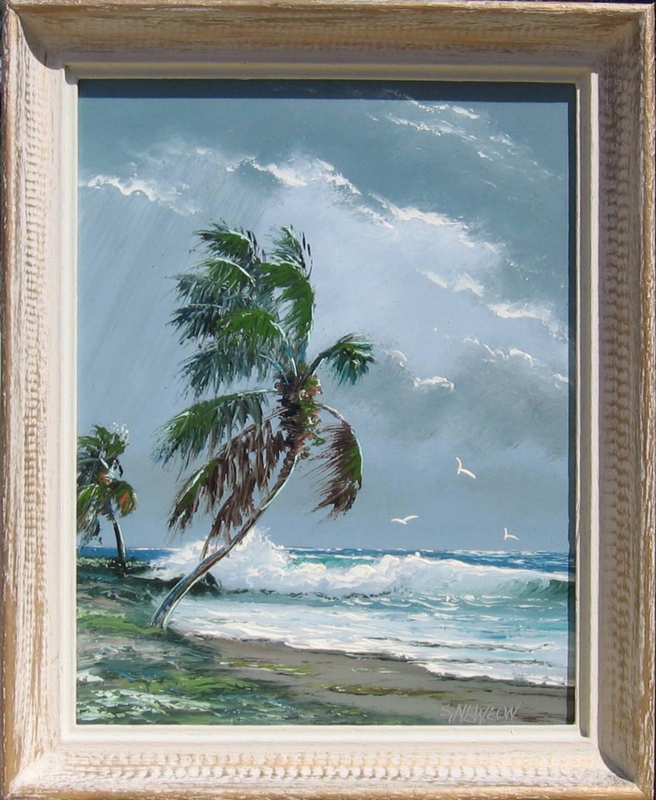 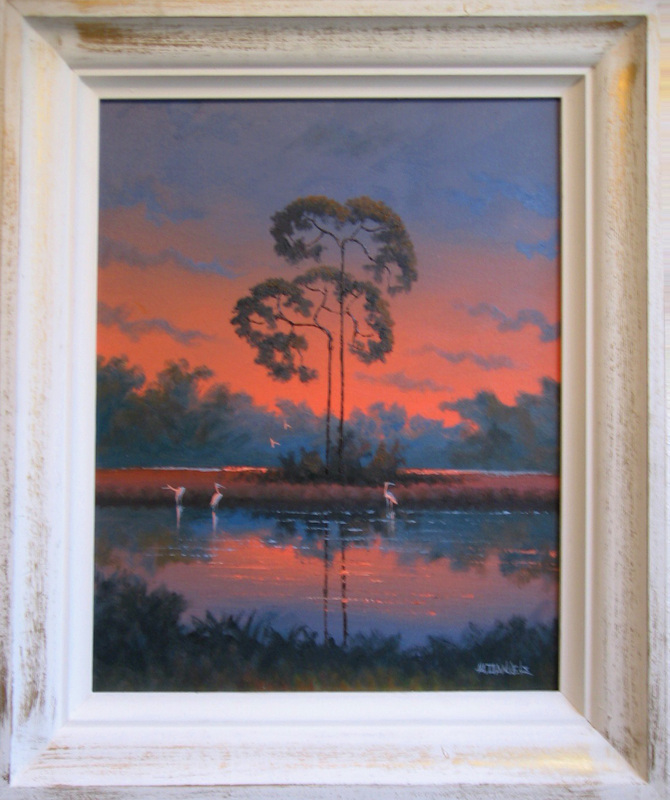 I have known most of the Highwaymen artists personally for a long time. 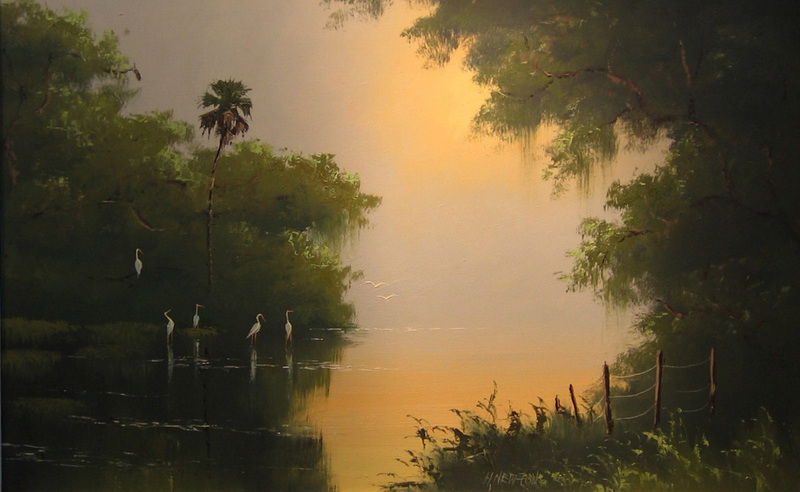 They are very talented and humble. 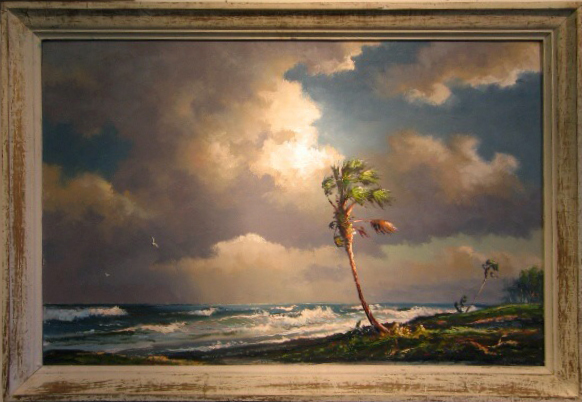 Now several of the artists have passed away, but their heritage remains. 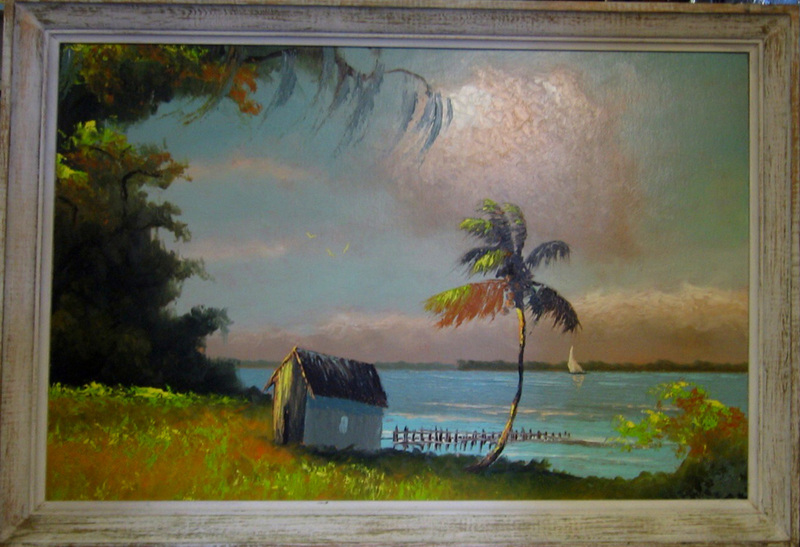 At an early age, Al Hair, founder of the group, was motivated by his teacher in Fort Pierce, Florida. 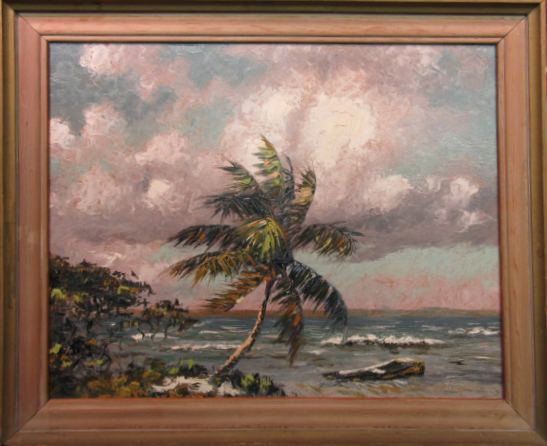 His teacher, Zanobia Jefferson took him to meet an artist, A. E. Backus, at his studio on Ave D. He saw that Alfred Hair had talent and took him under his wing, even taking him on trips to Jamaica to paint with him. 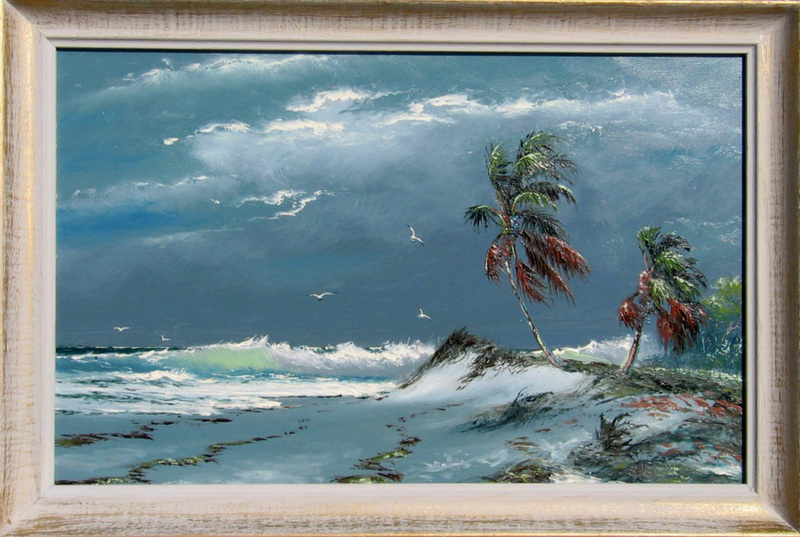 Al Hair started showing his friends how to paint and encouraging them to sell their art work. 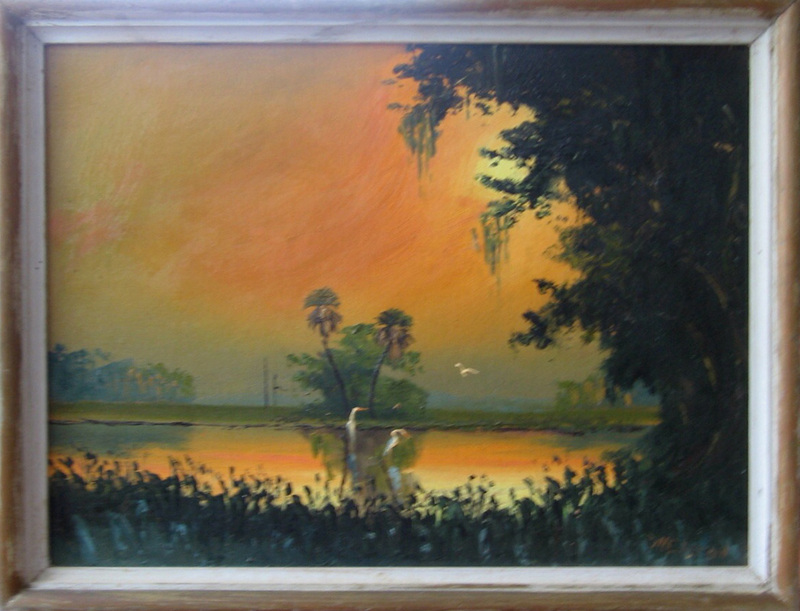 This was the beginning of the first black folk art movement in Florida in the 1900’s. 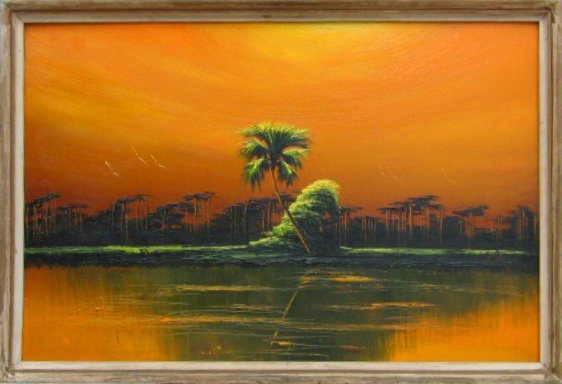 The Highwaymen School begins. 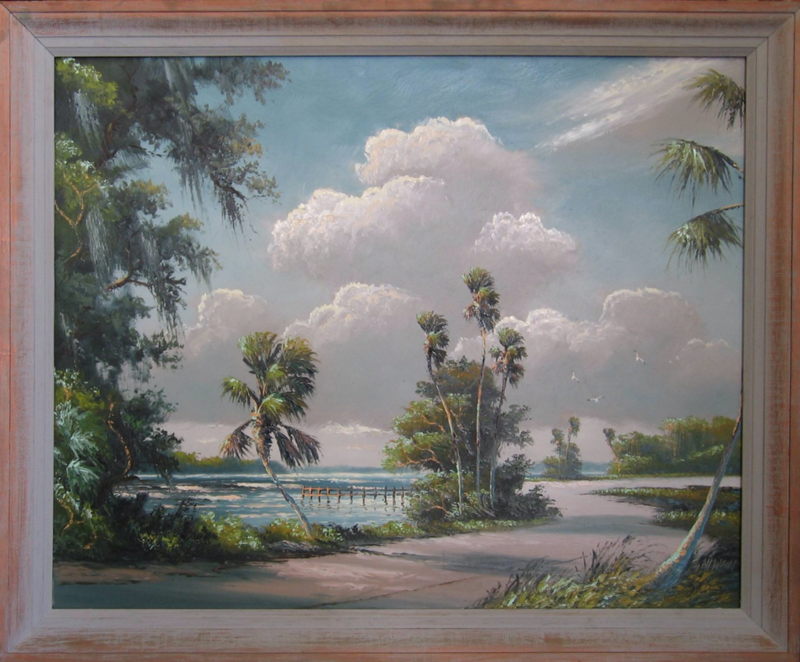 Harold Newton and Alfred Hair were the two leaders of this group of twenty-five men and one woman, mostly from Fort Pierce, Florida. 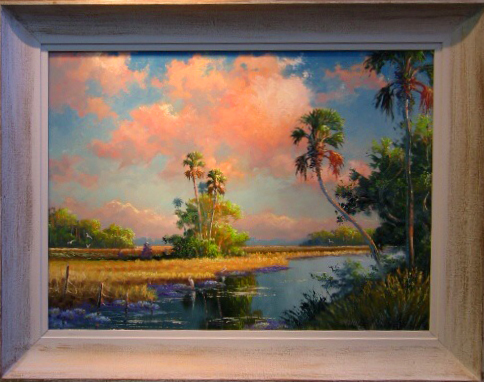 These beautiful paintings depicting river, ocean and marsh scenes are full of color. 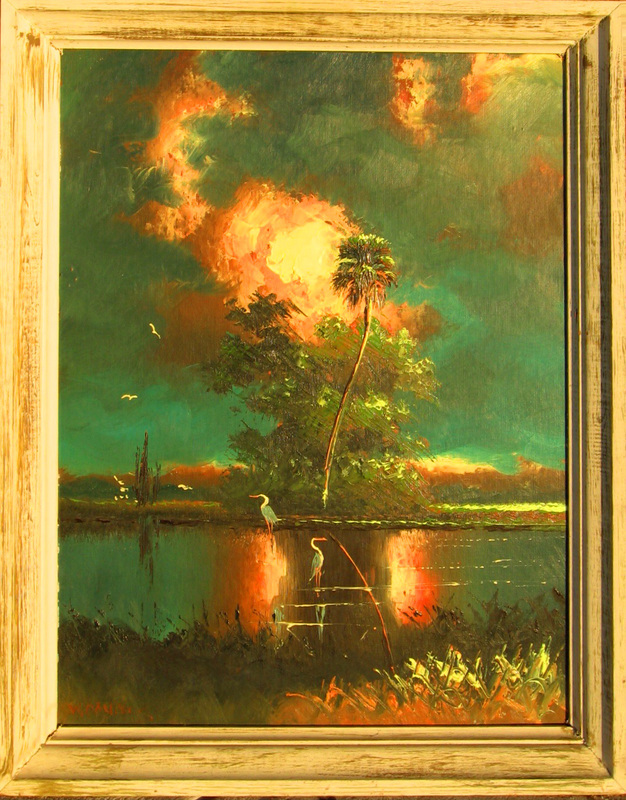 Stormy skies and great sunsets. 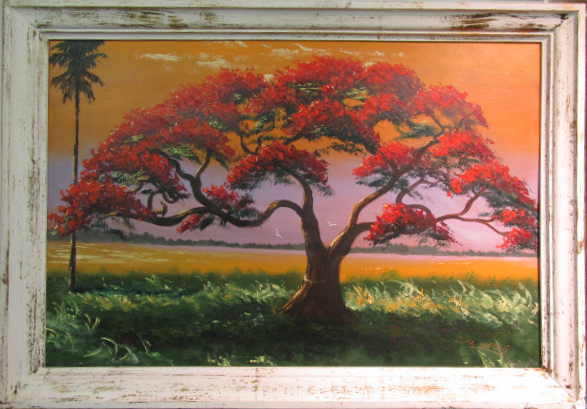 In the 1950’s, 60’s and 70’s, they would sell their paintings from the trunk of the cars. 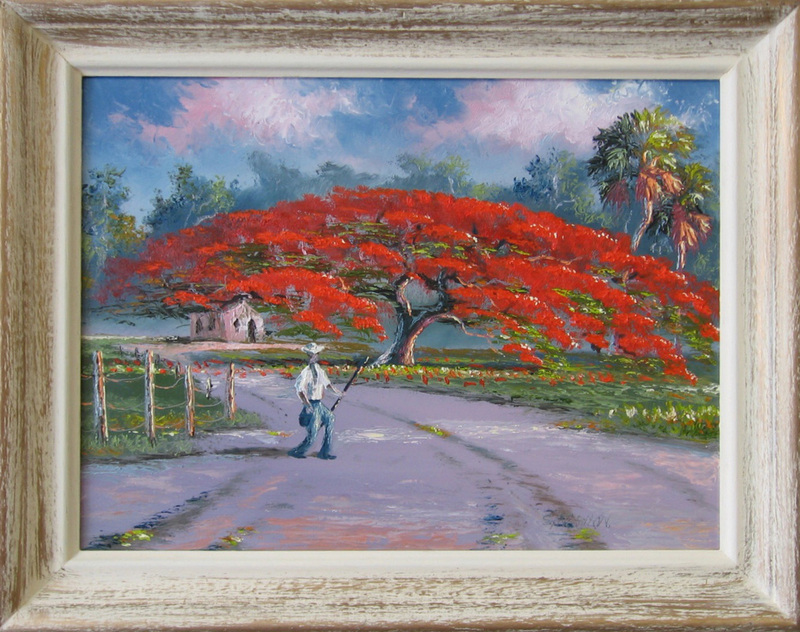 Sometimes they would sit on the side of the highway on the east coast of Florida selling their art for as little as $15.00 on slow days to $35.00 to 50.00 on good days. 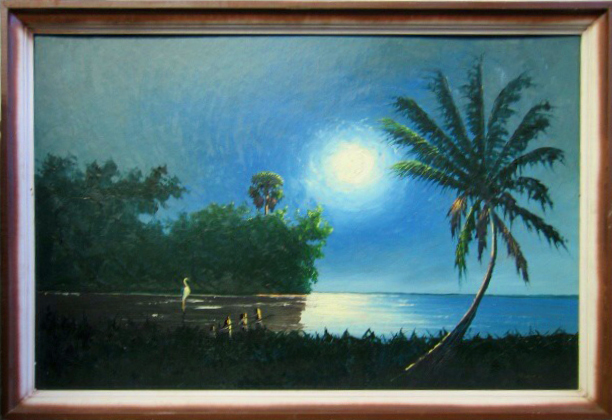 This way they would escape the rigorous work in the orange groves. 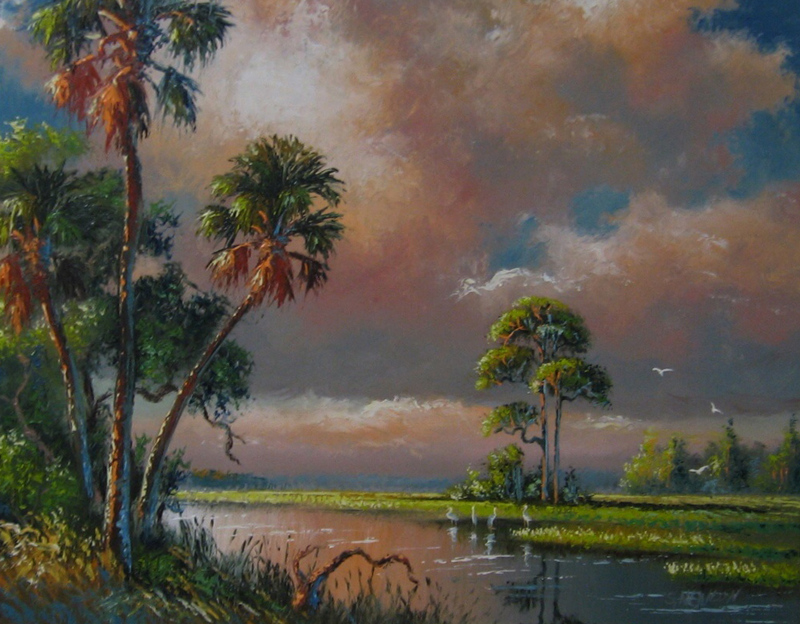 All twenty-six artists were inducted as a group into the Florida Artists Hall of Fame. 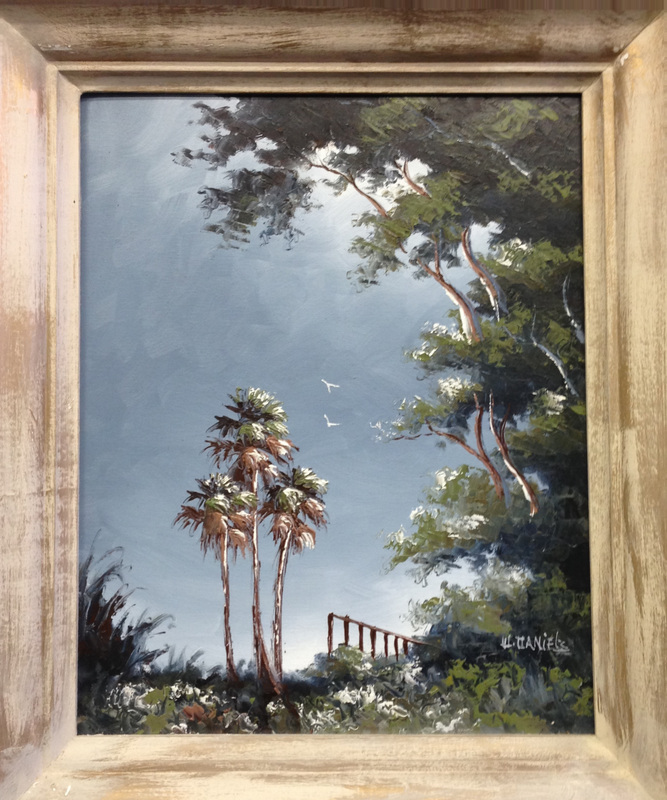 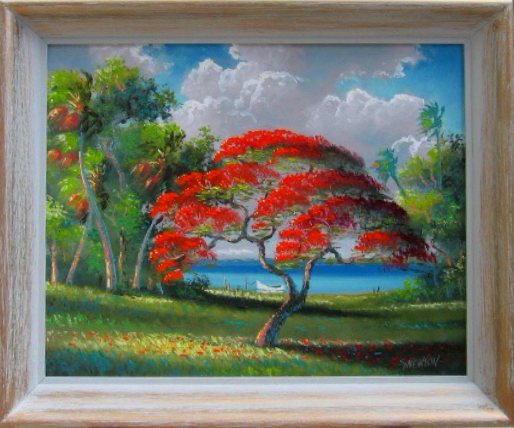 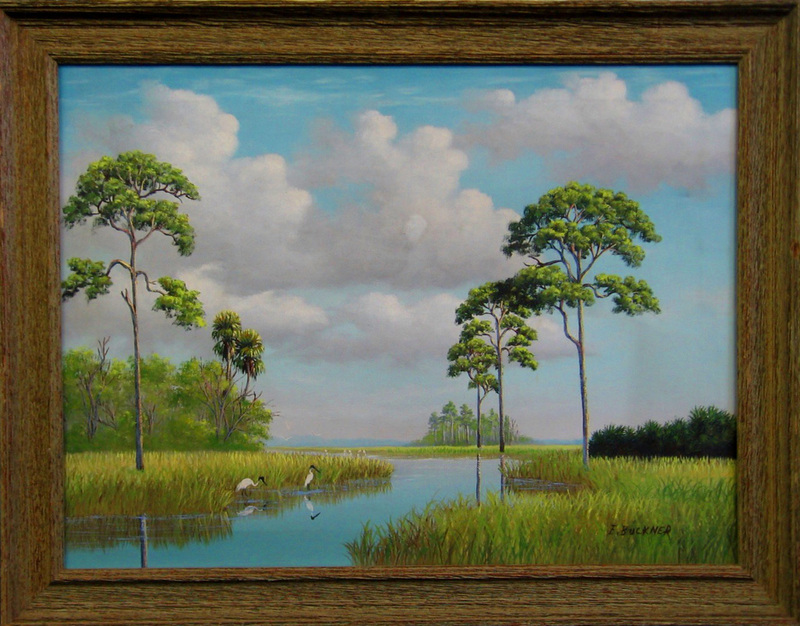 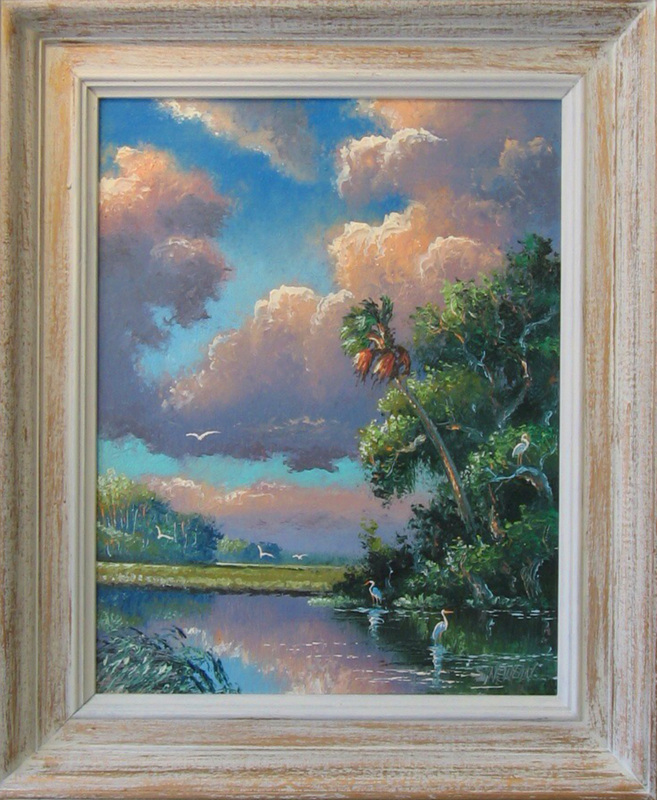 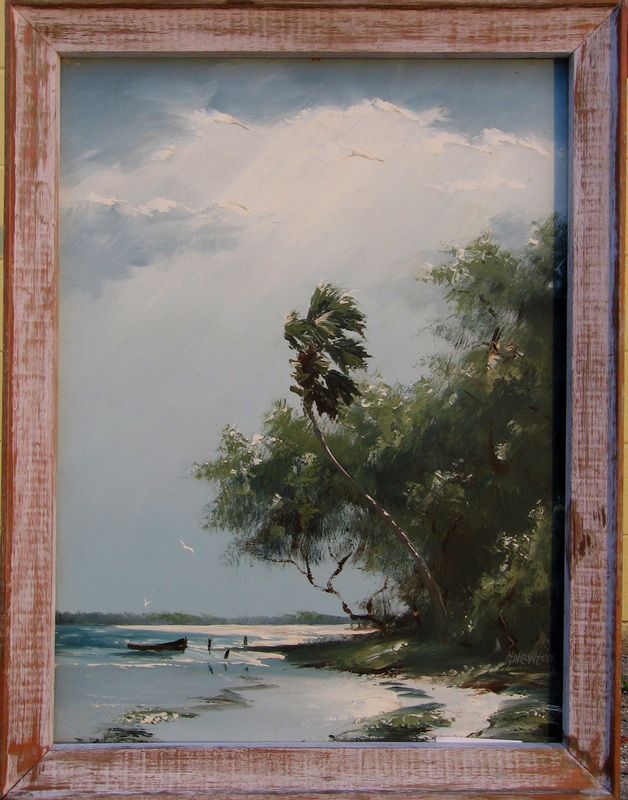 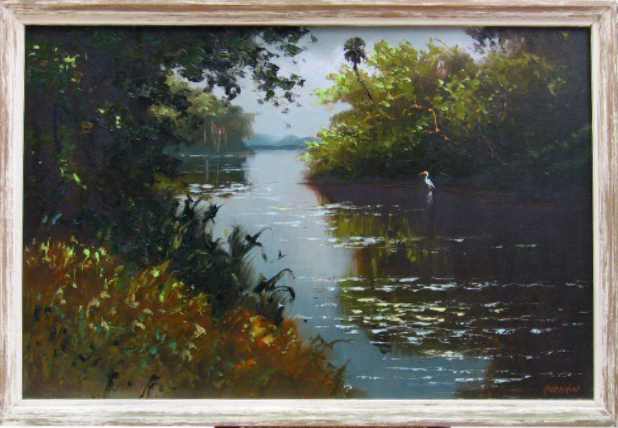 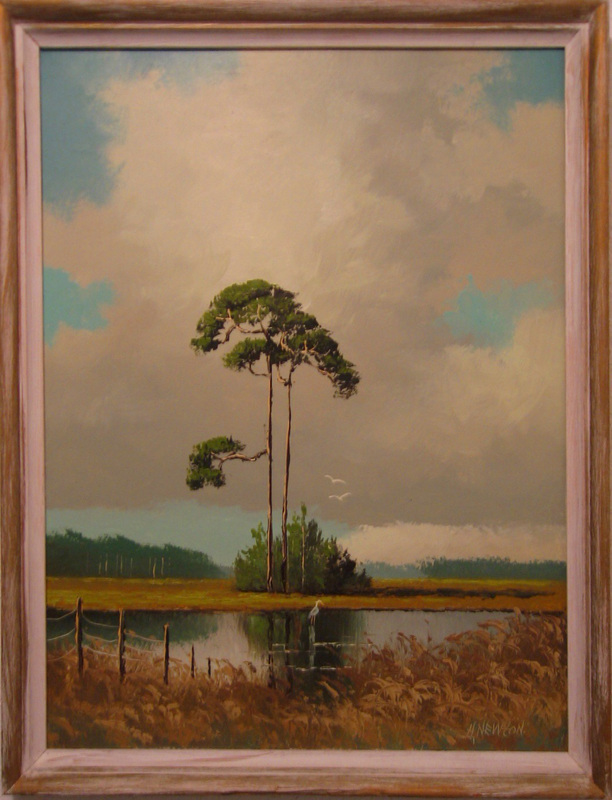 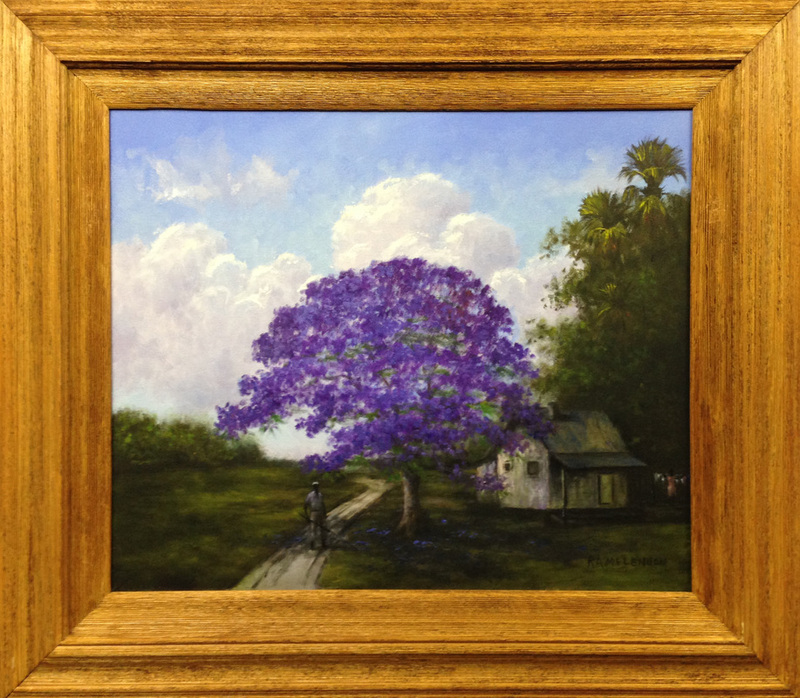 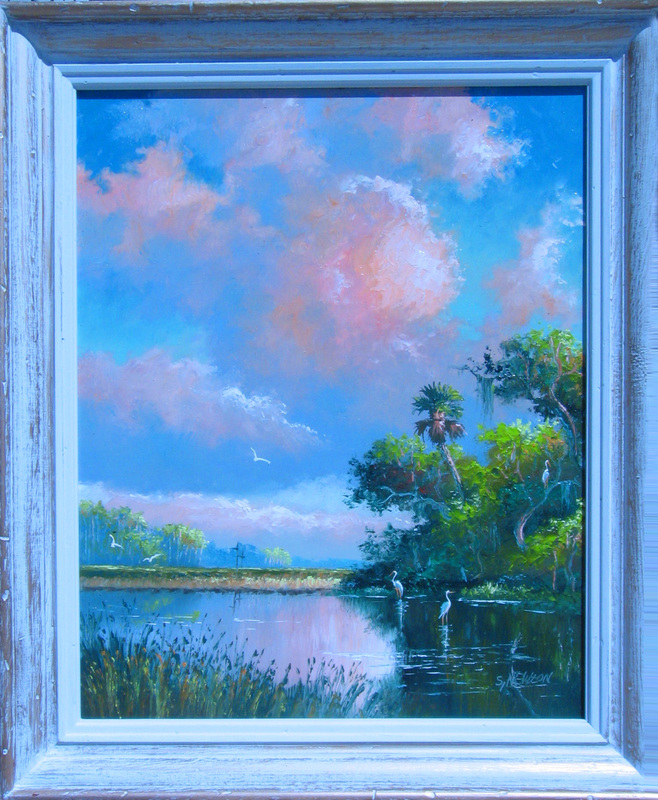 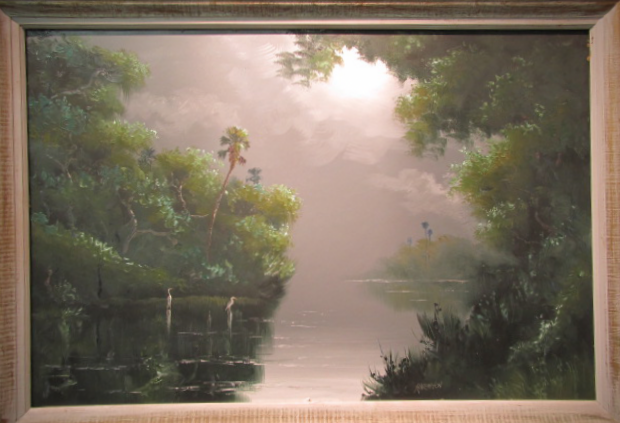 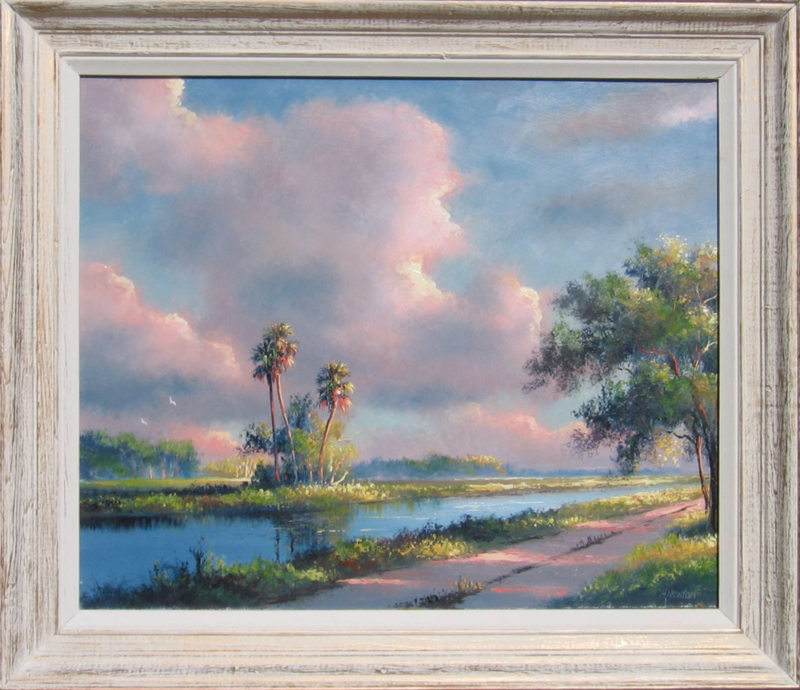 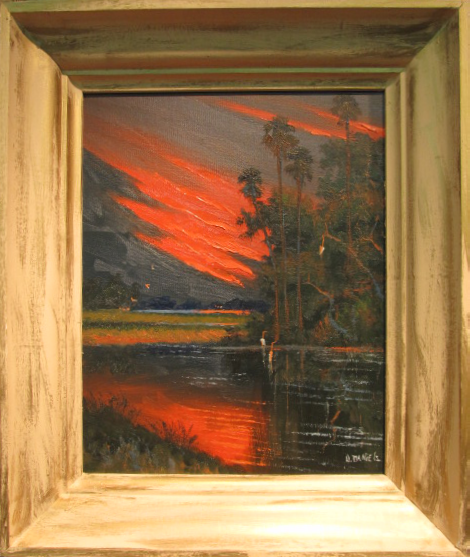 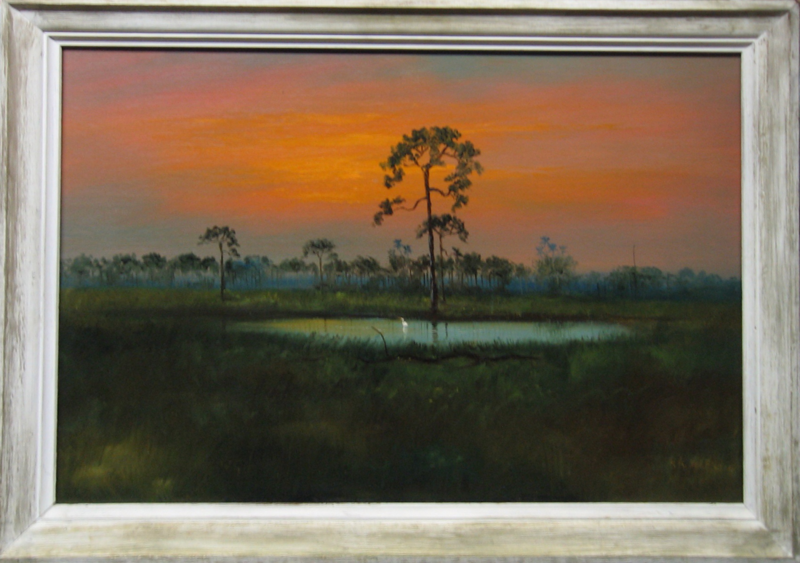 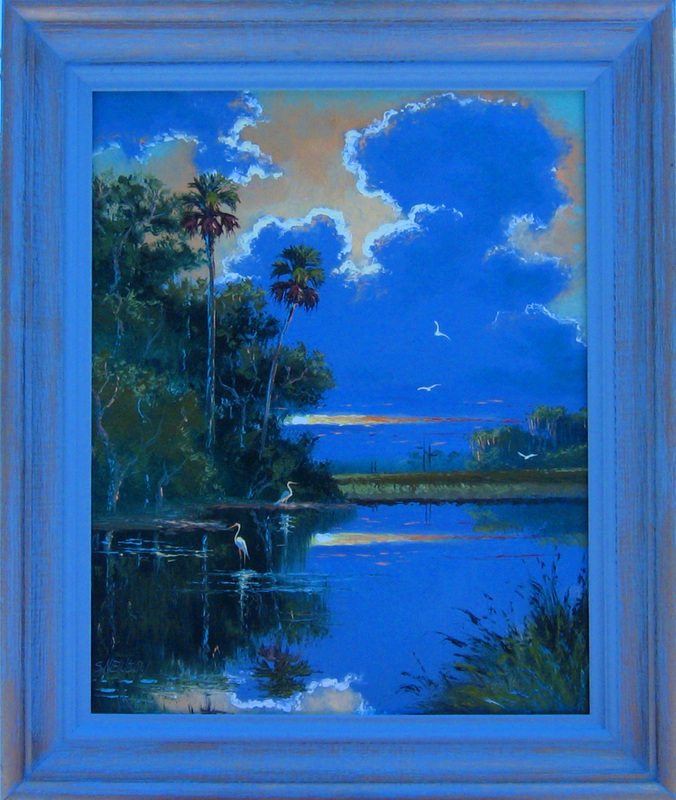 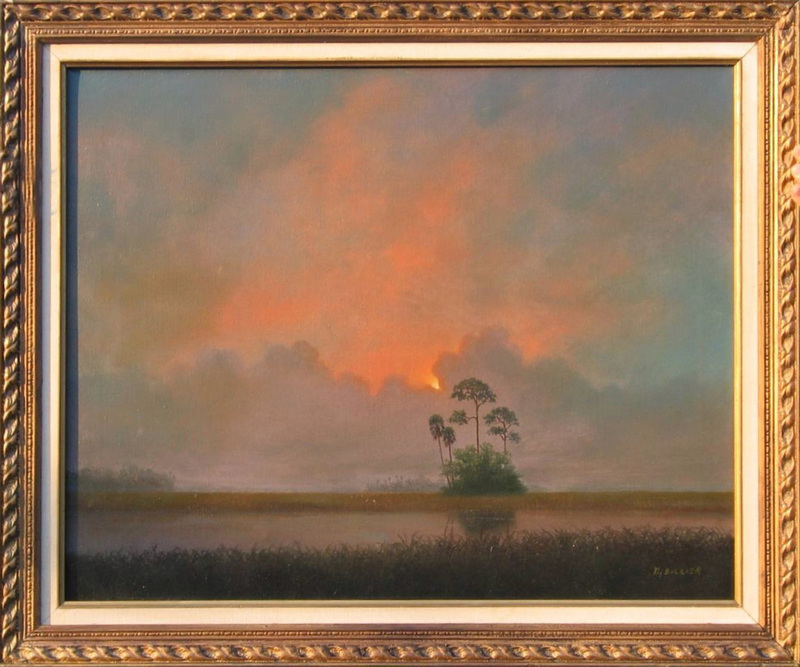 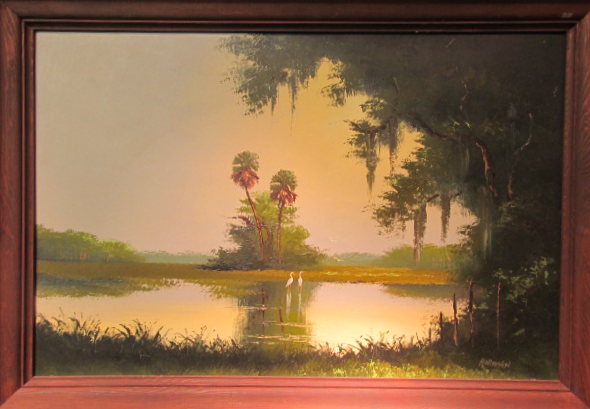 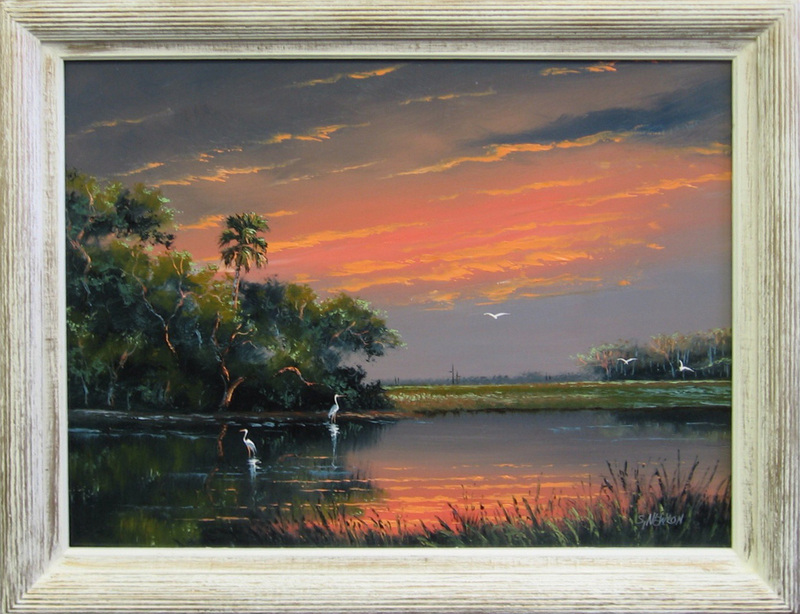 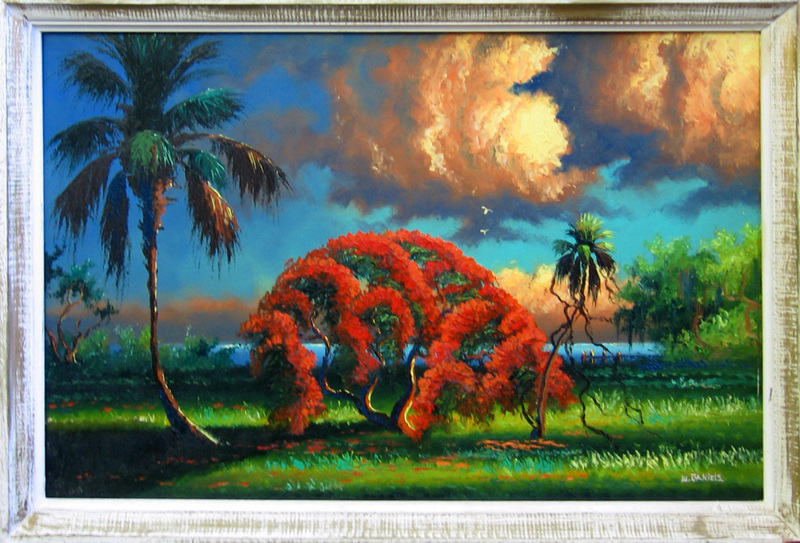 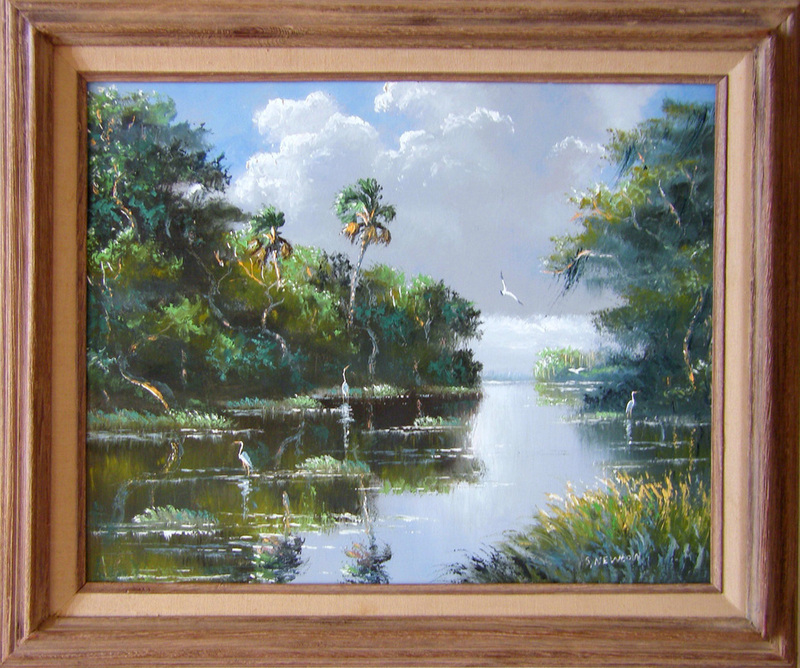 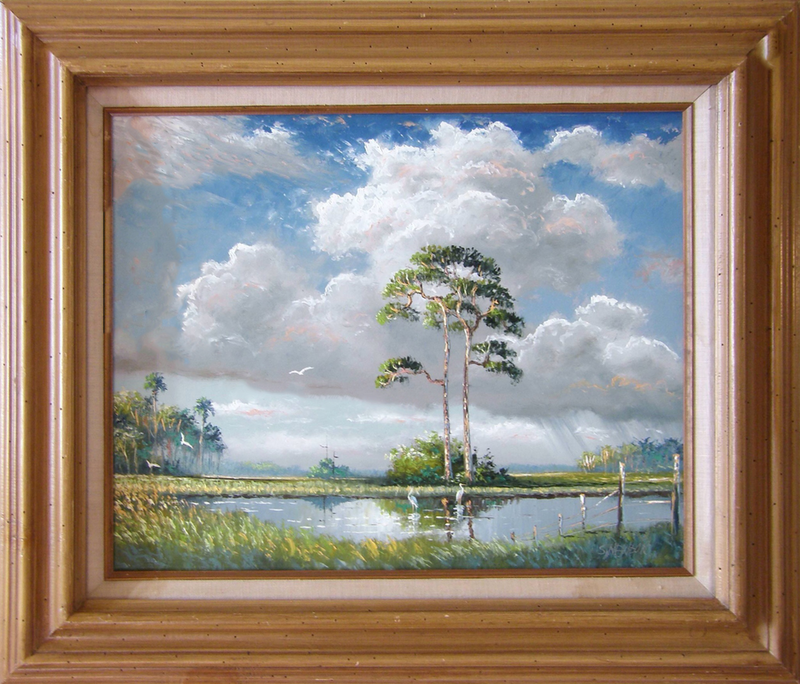 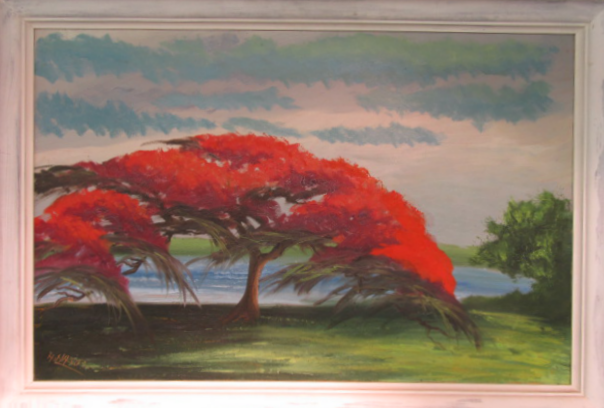 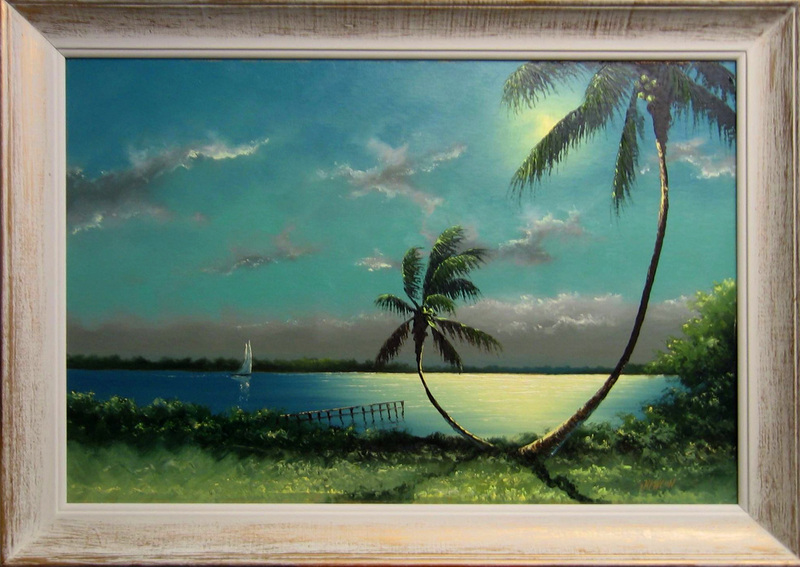 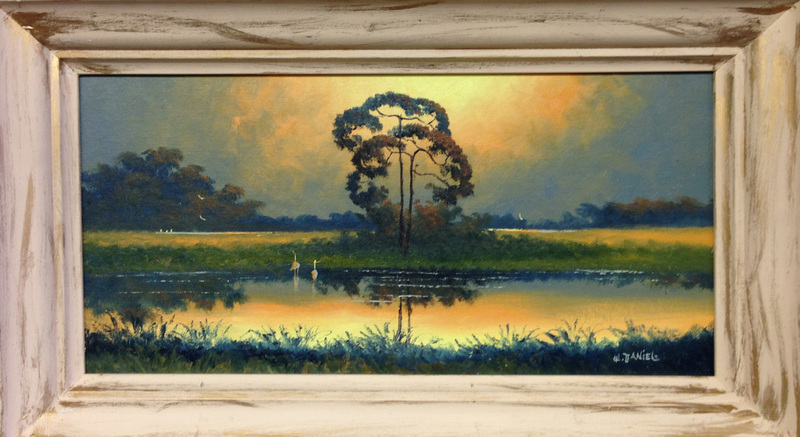 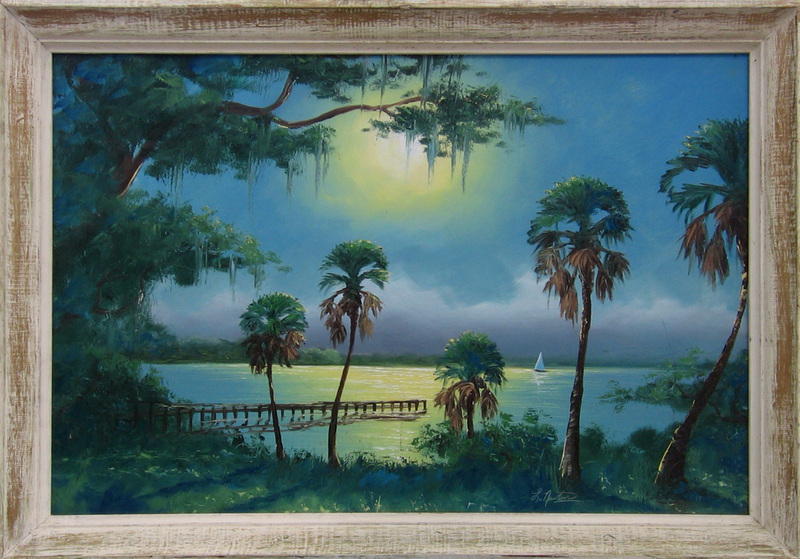 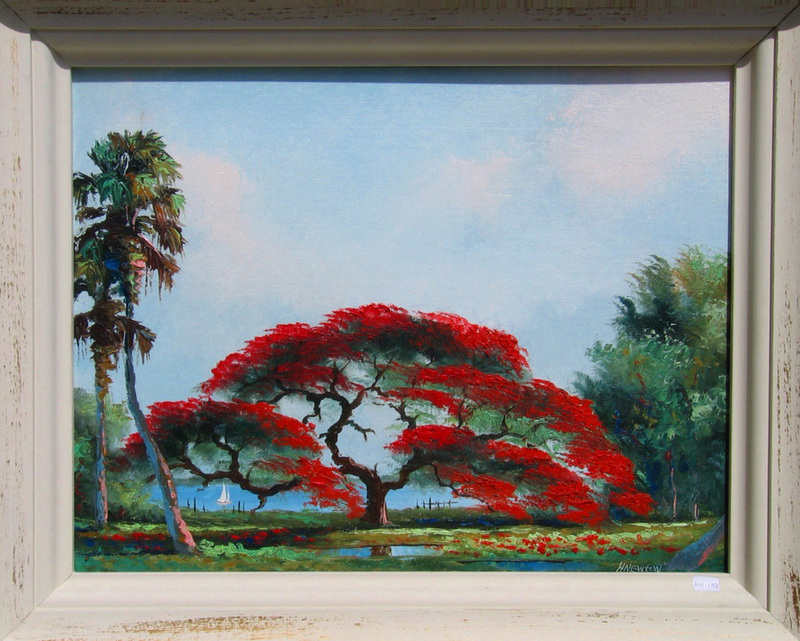 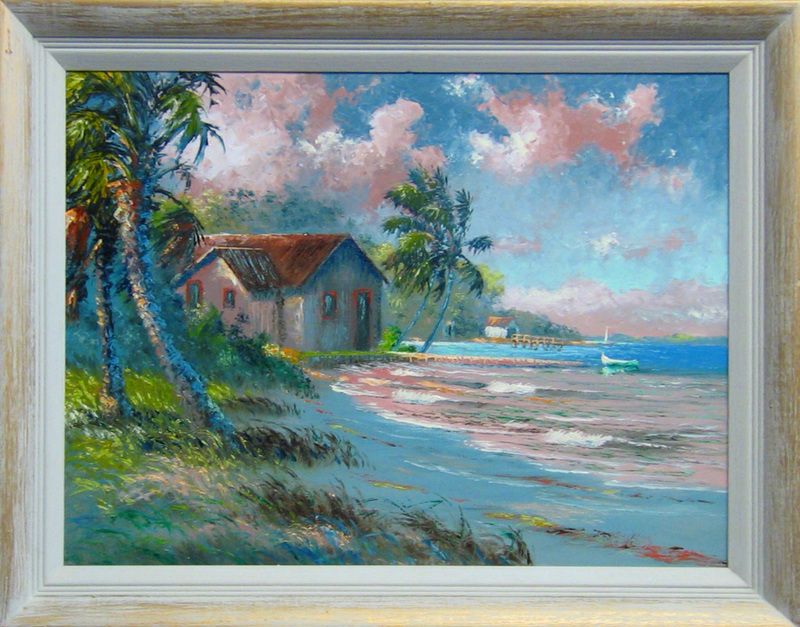 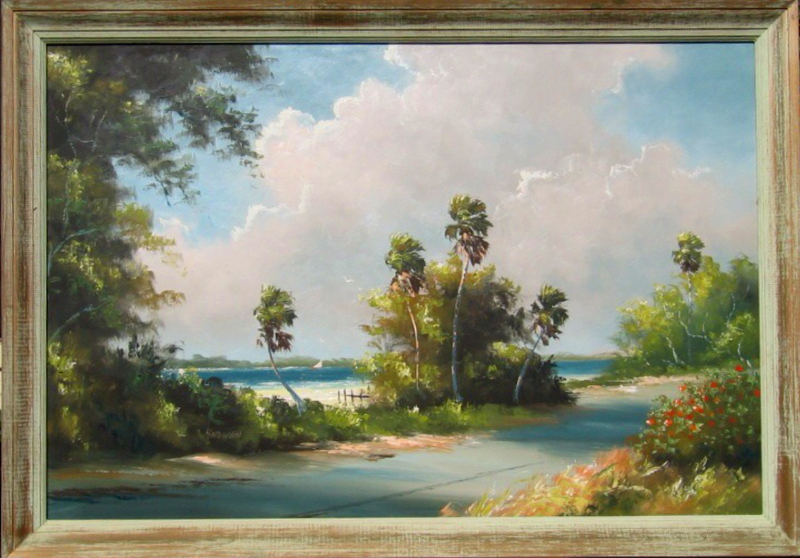 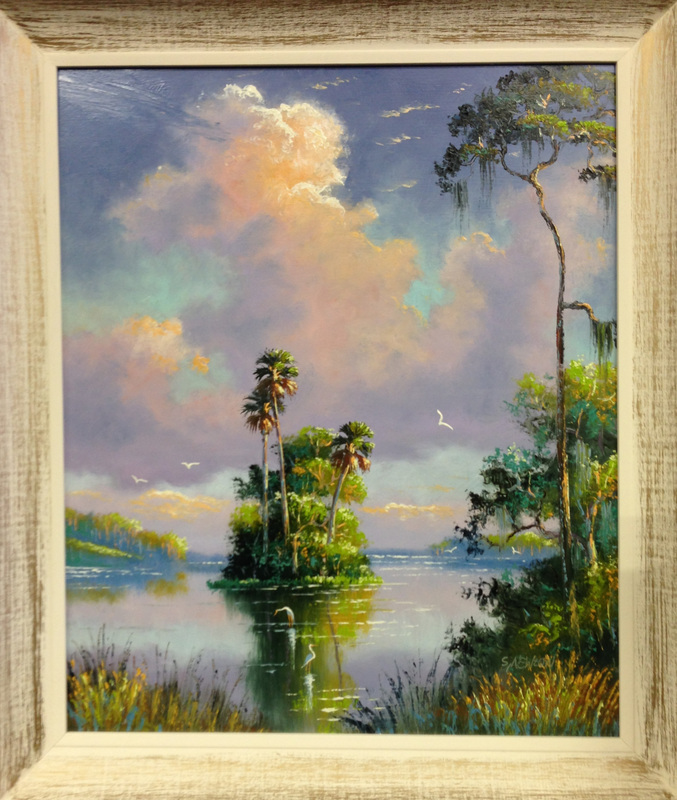 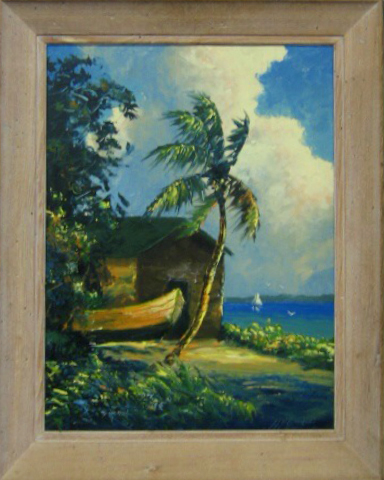 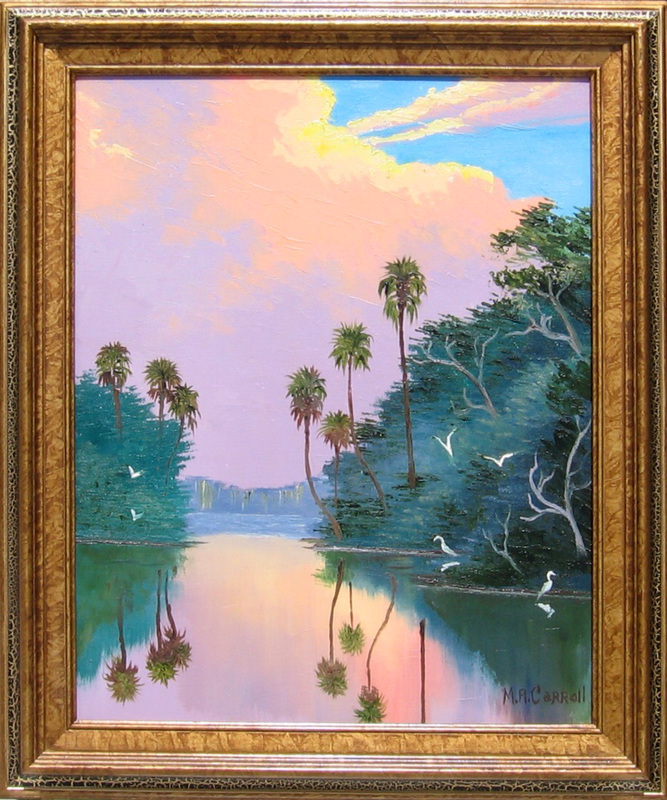 The Florida Highwaymen and their talents belong to the heritage, tradition and history of Florida. 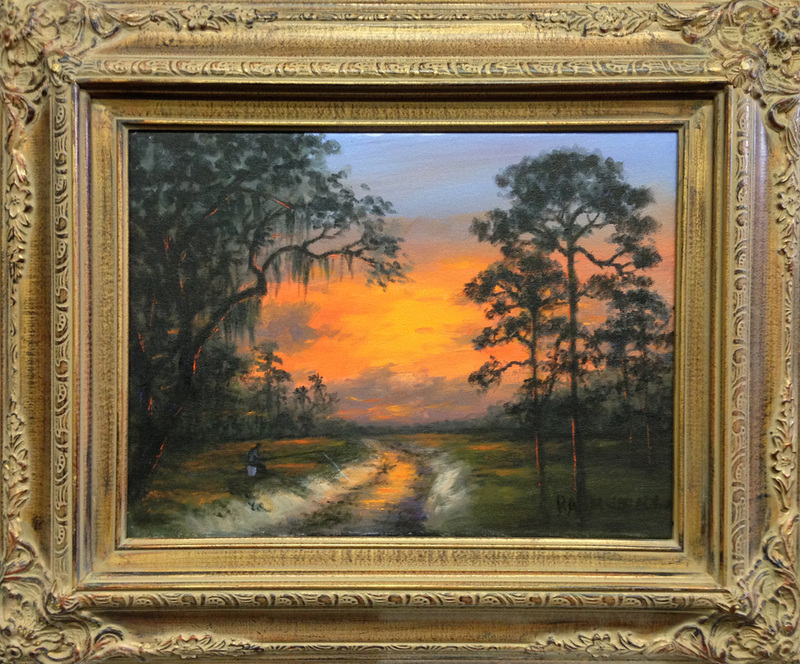 As a collector and a dealer our inventory is changing every day, please visit us in our gallery as paintings always look much better in person.